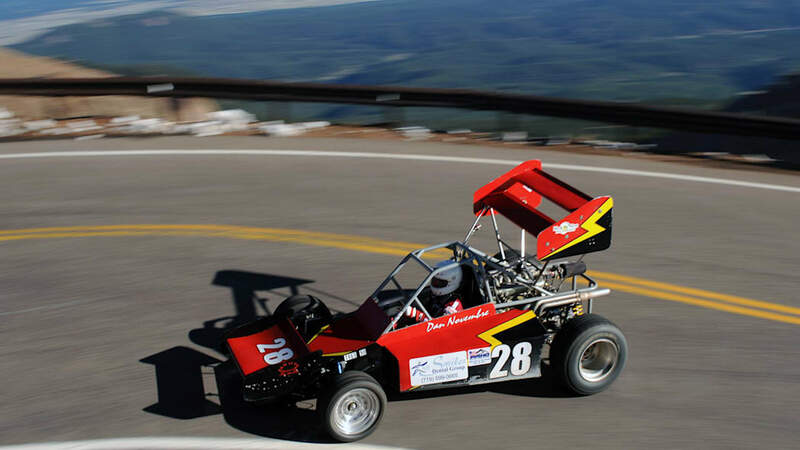 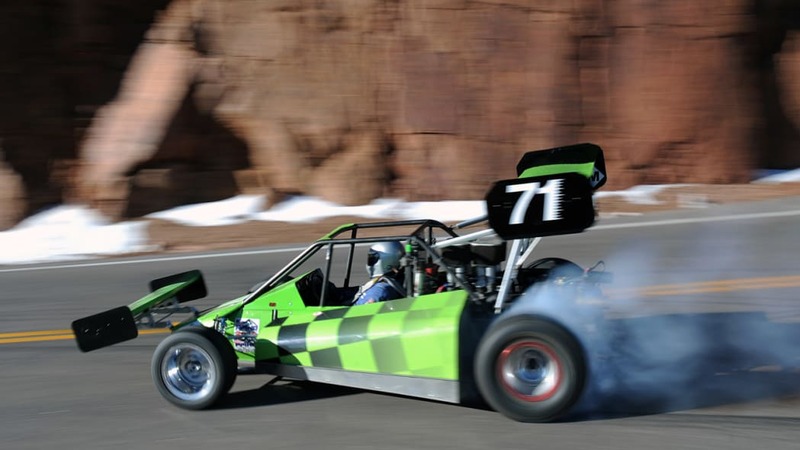 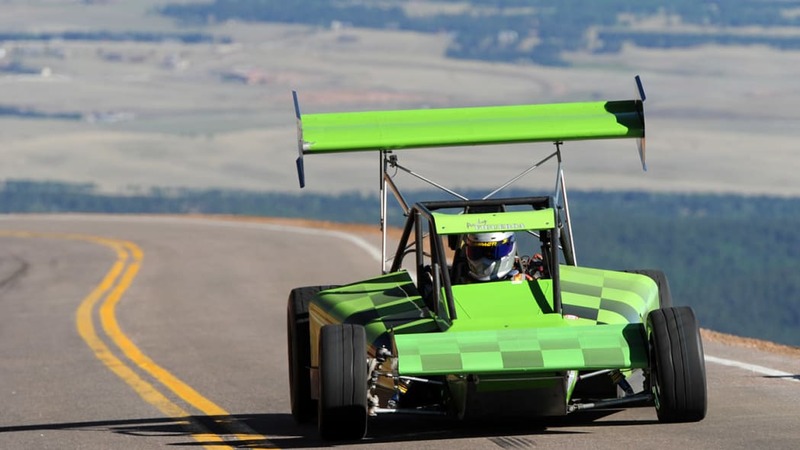 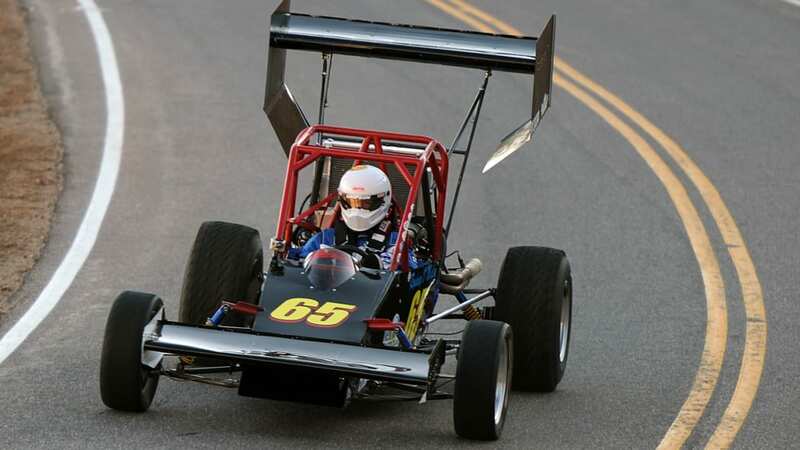 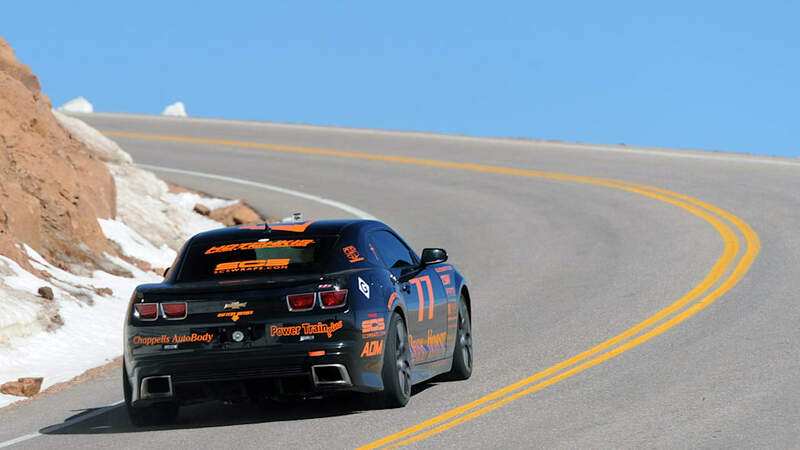 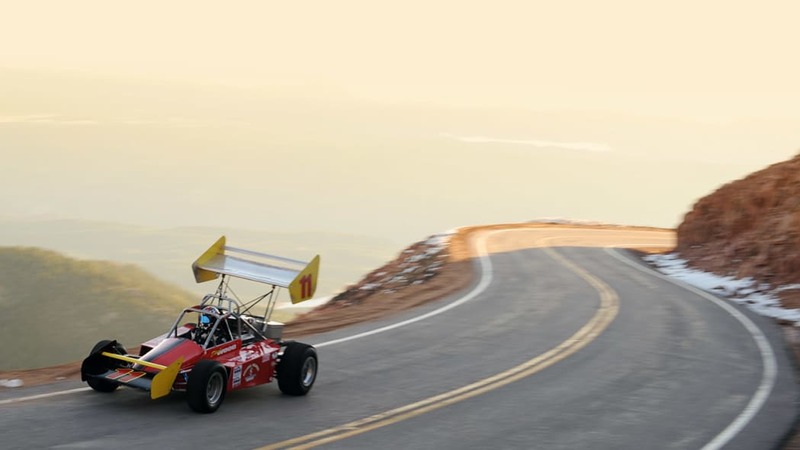 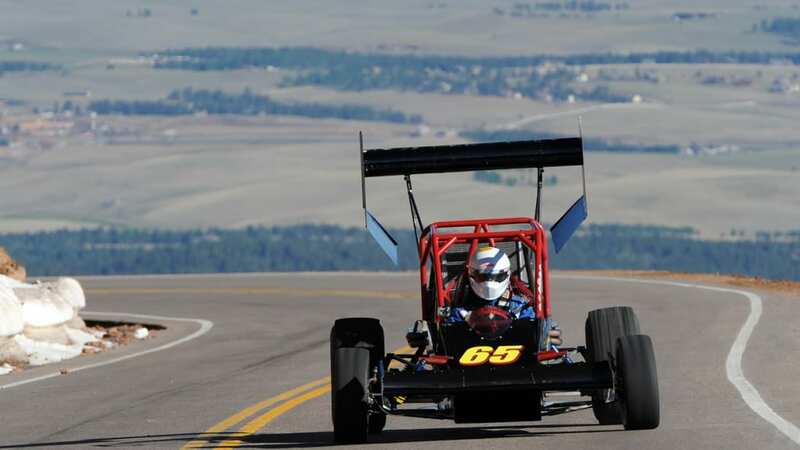 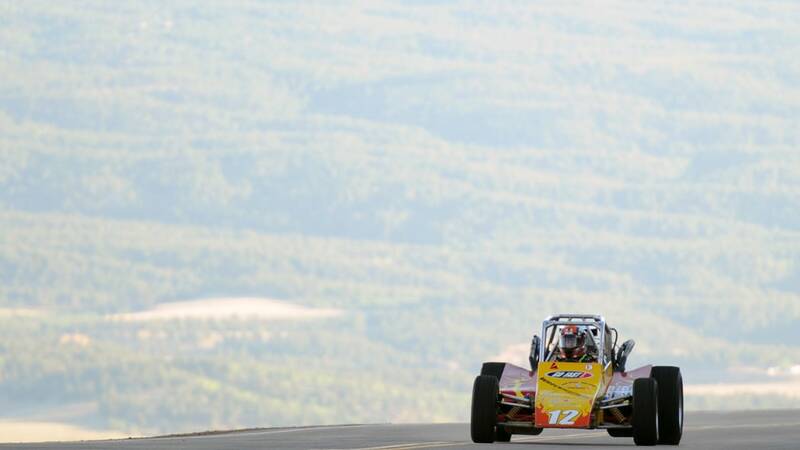 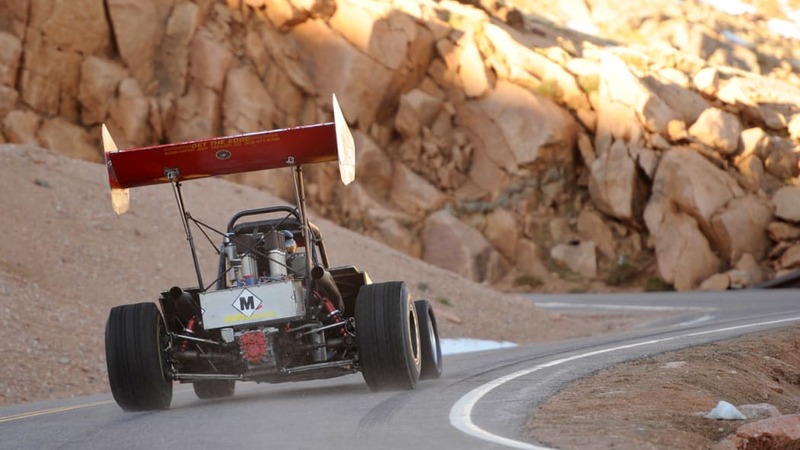 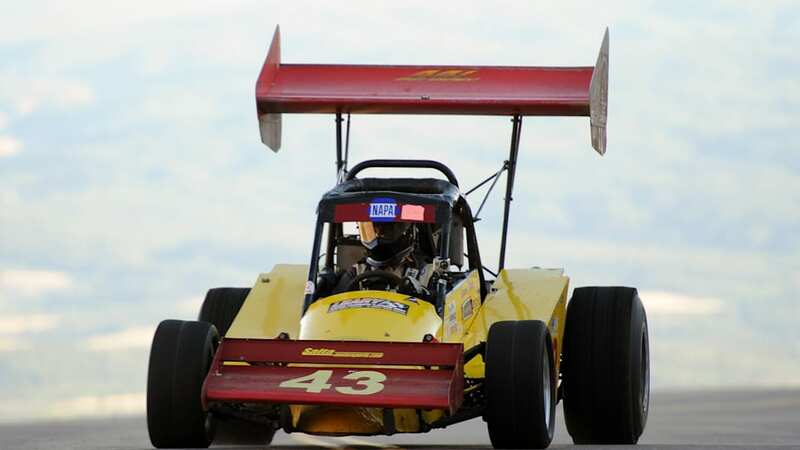 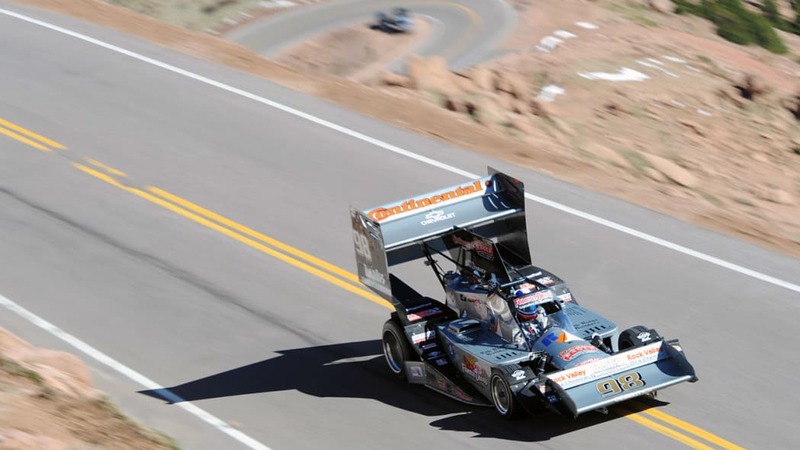 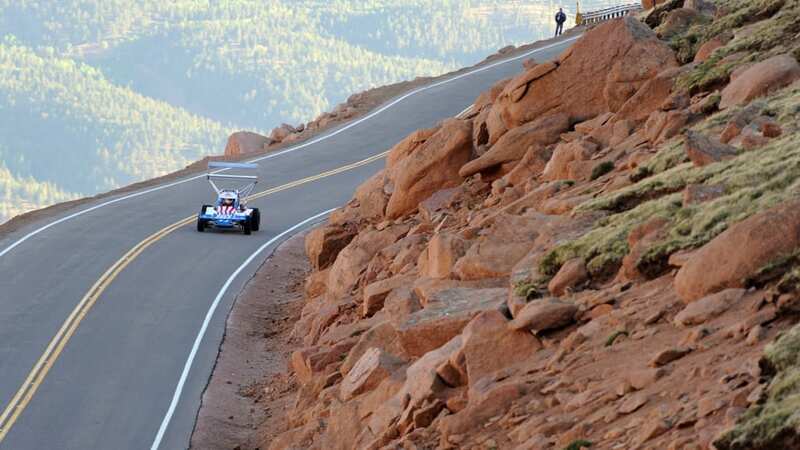 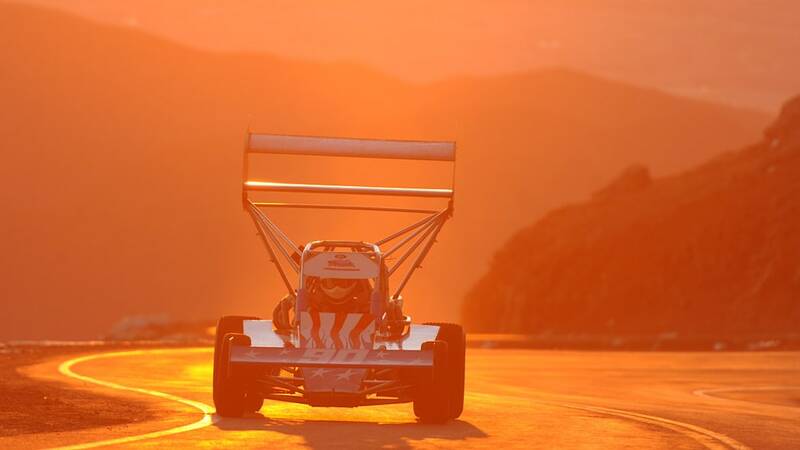 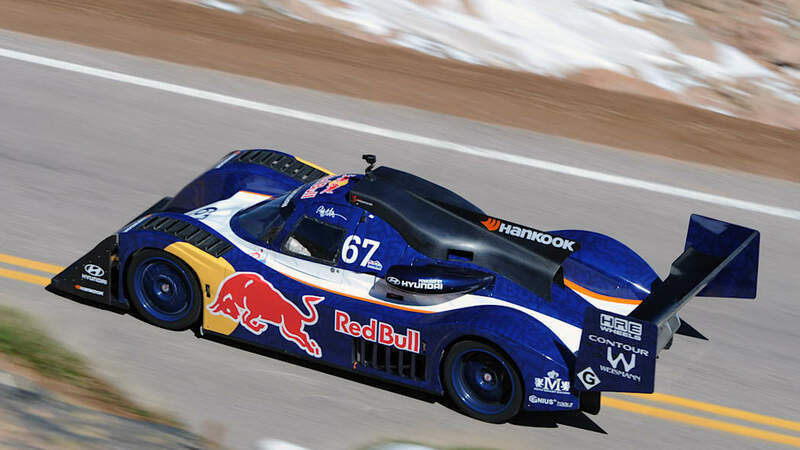 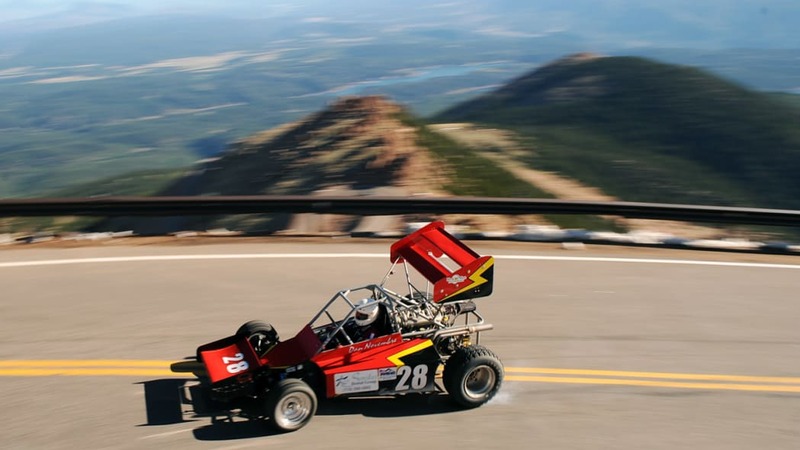 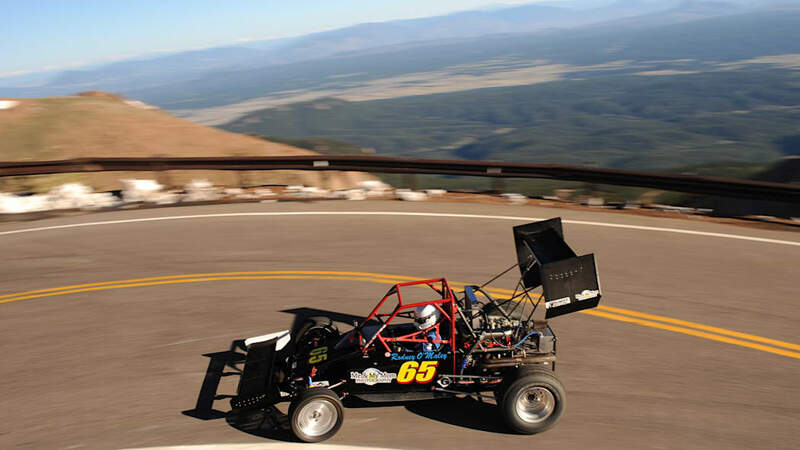 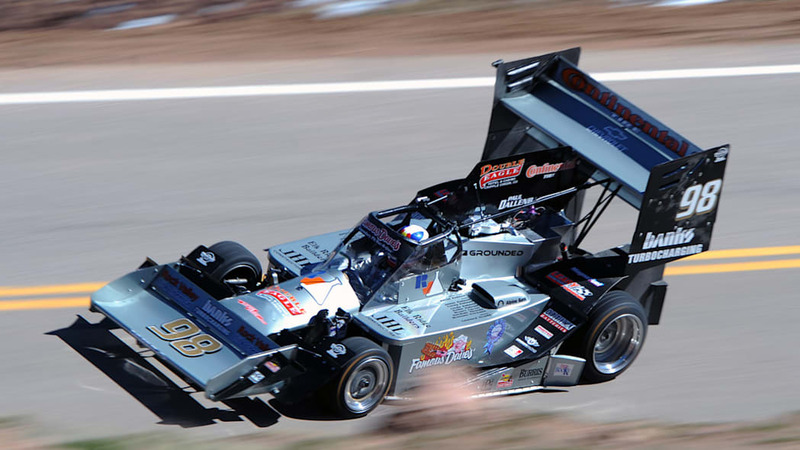 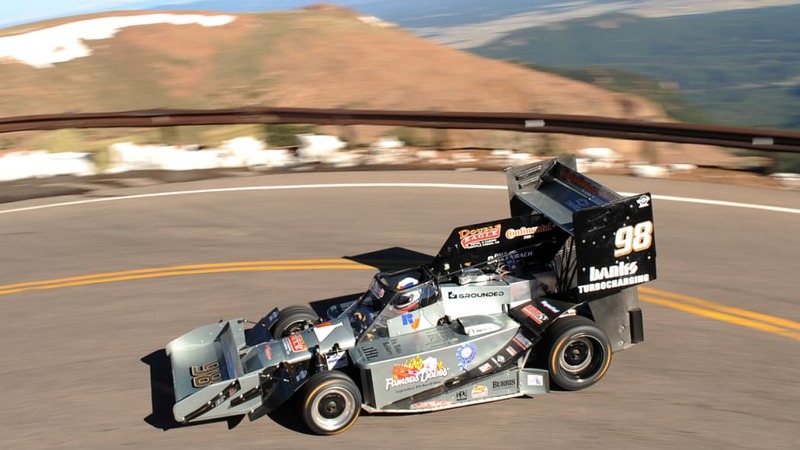 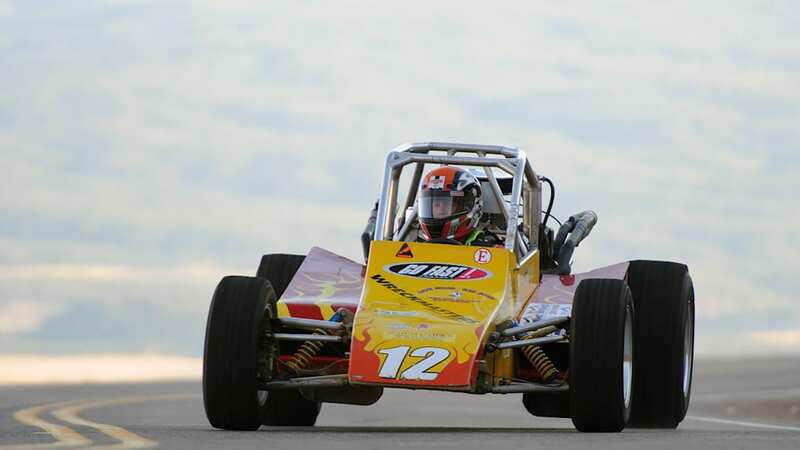 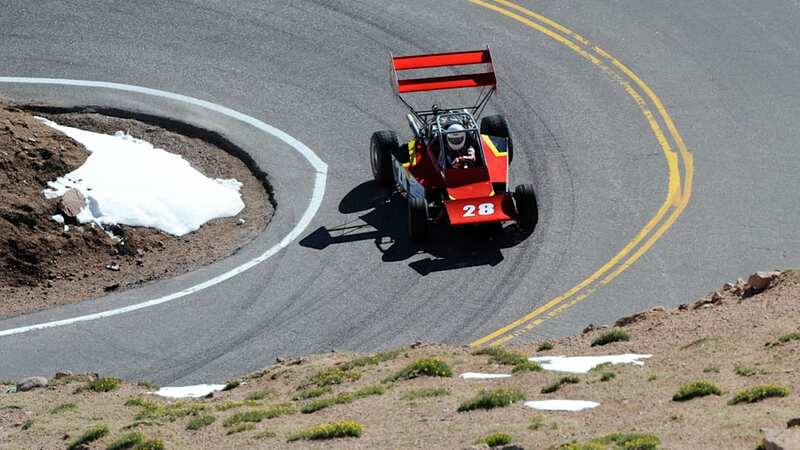 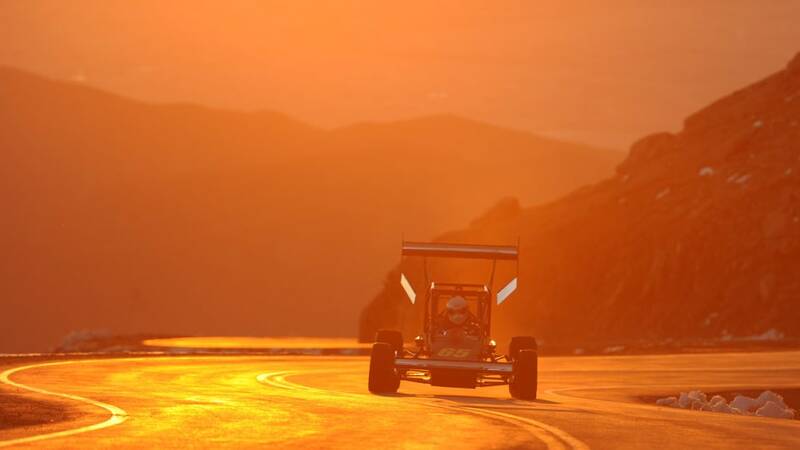 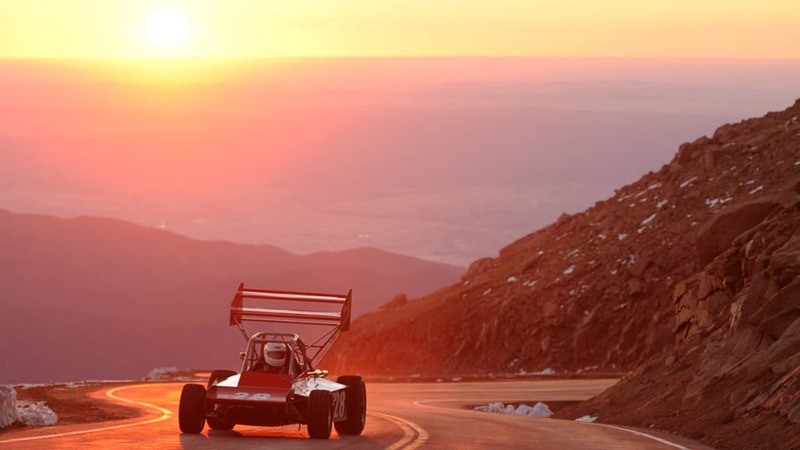 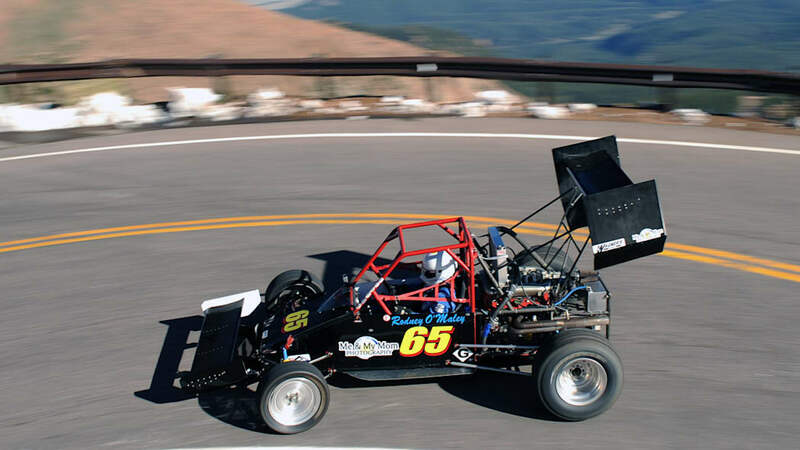 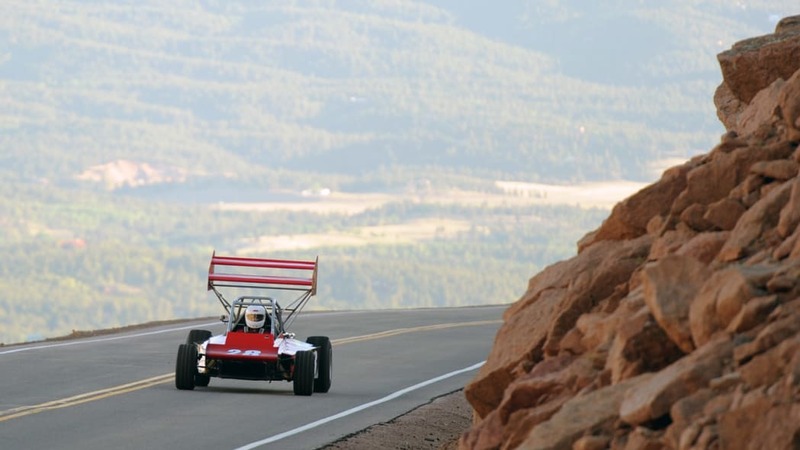 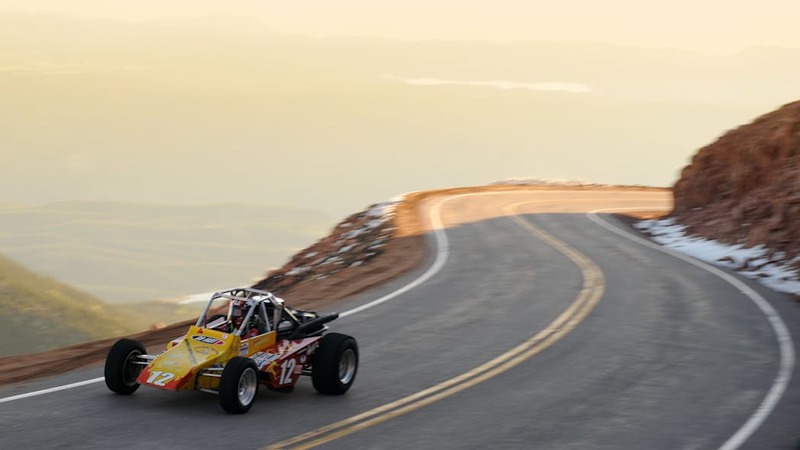 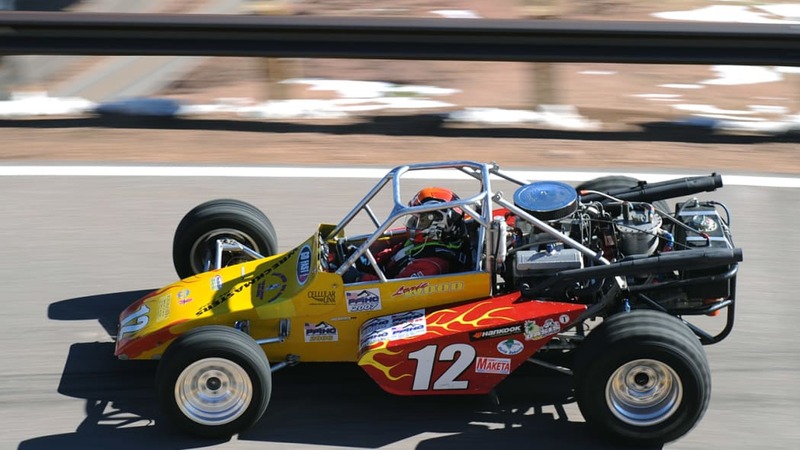 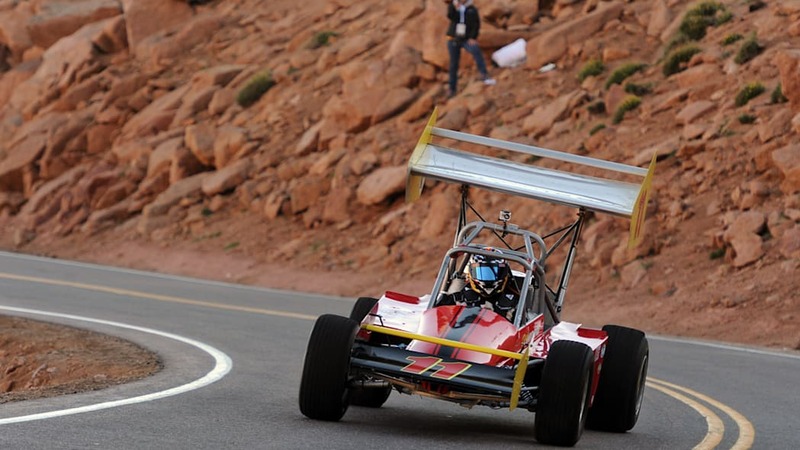 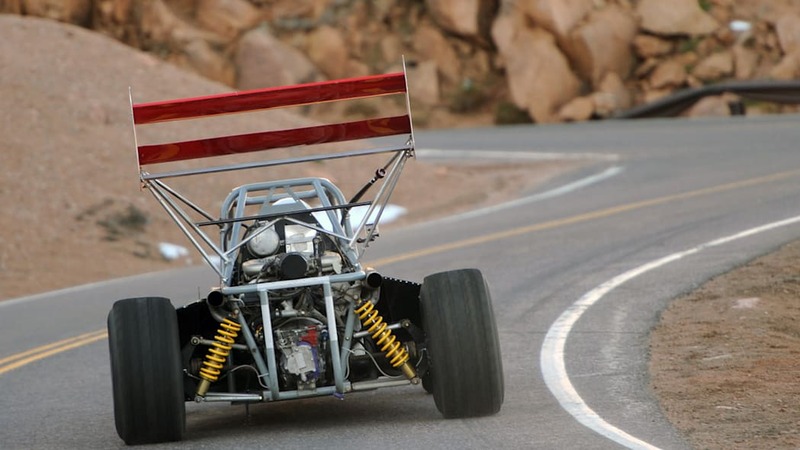 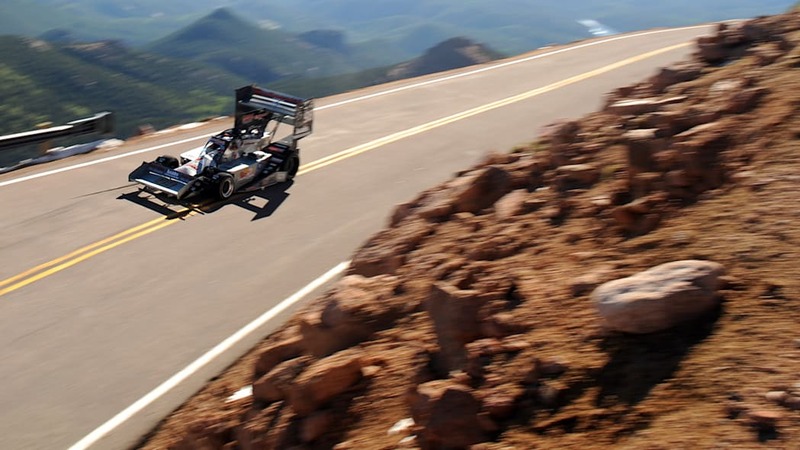 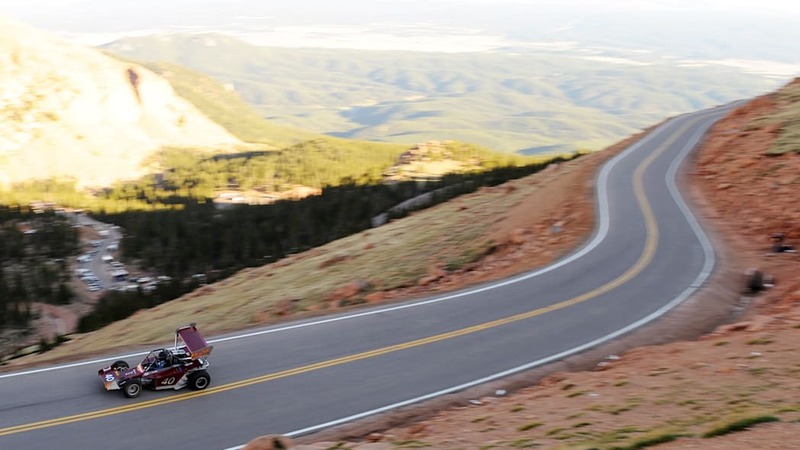 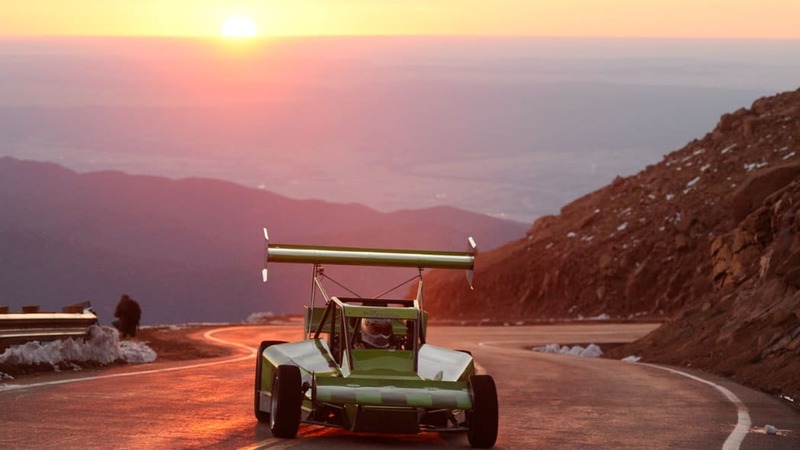 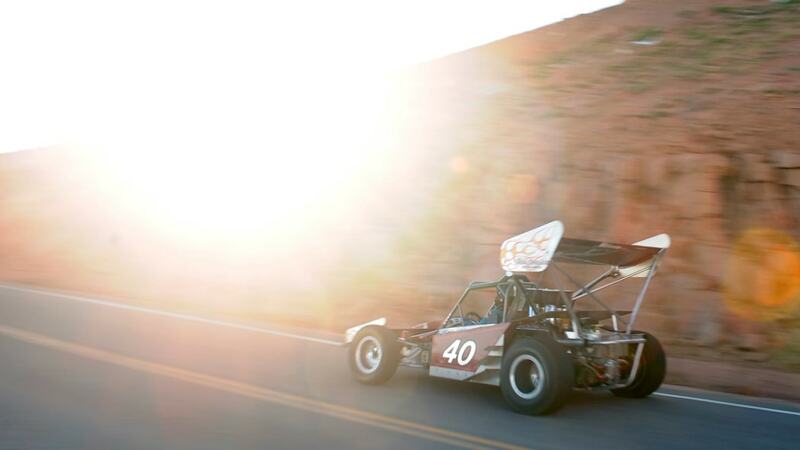 The 89th-annual Pikes Peak International Hill Climb kicked things off early today with the first practice runs on the mountain. 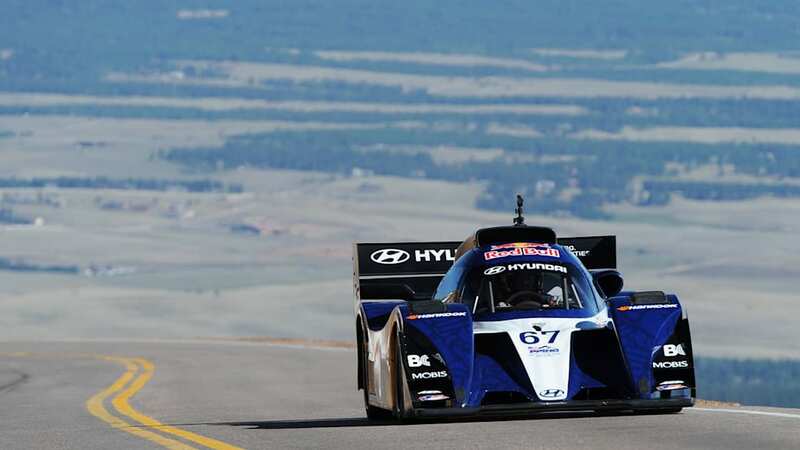 We'll be following the Unlimited Class, whose drivers will be contesting for the overall victory and the elusive ten-minute mark, and this morning they took on the middle portion of the course for the first of three practice sessions. 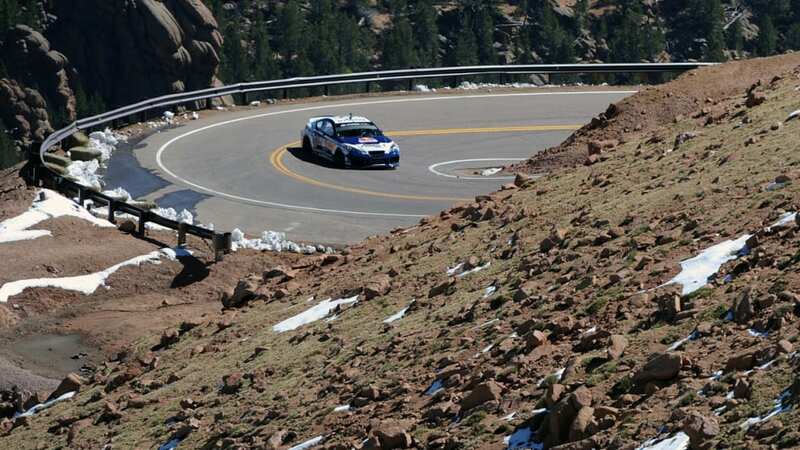 This section is completely paved, but is one of the most difficult due to the high number of sharp switchbacks and extreme elevation change. 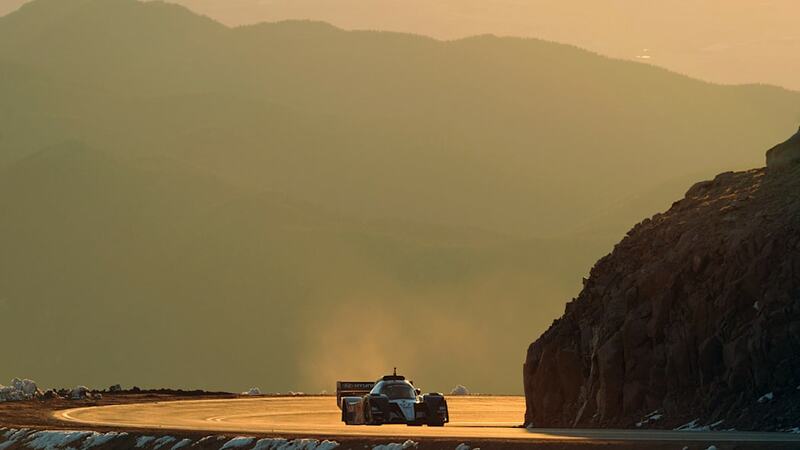 It also makes for some picturesque views, as evidenced by the photos in the included image gallery. 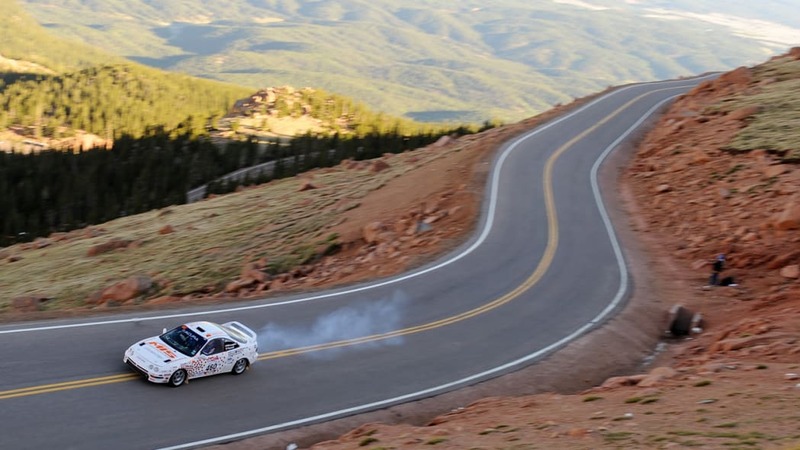 Things are looking promising for the main contenders, particularly with Rhys Millen who looked incredibly fast and didn't seem to be suffering any of the problems that he dealt with last year. 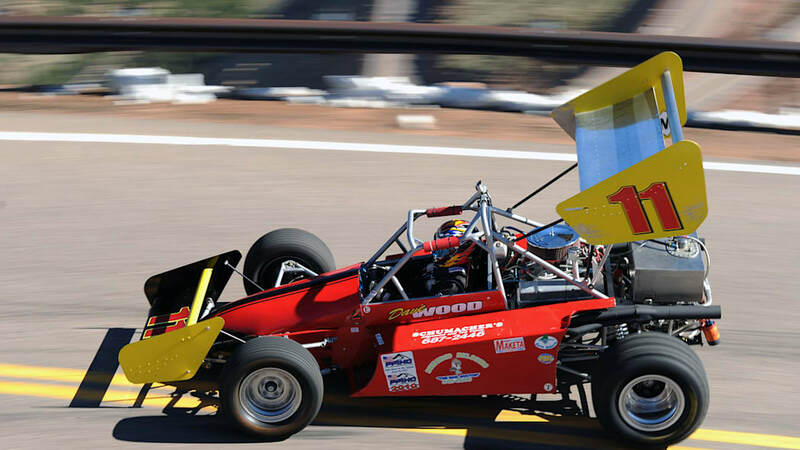 "I think we just went about a second and a half faster than last year [in the section], and overall I'm really happy," he told us. 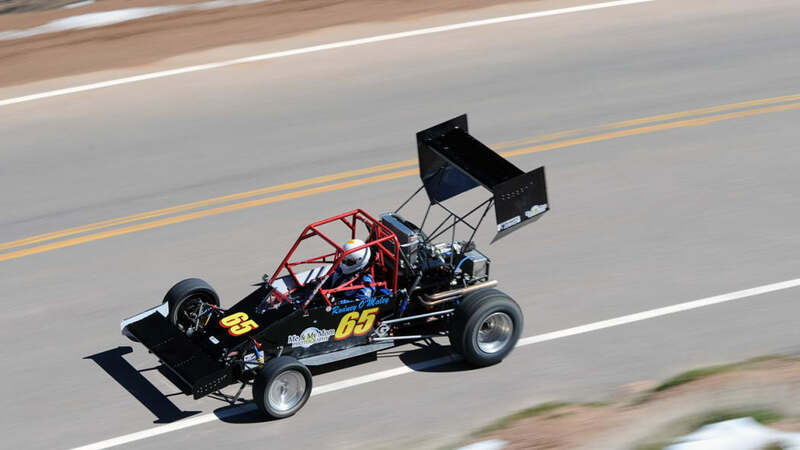 "We still have some oddities with the shift linkage, but it's our first time trying the manual shifter this year. 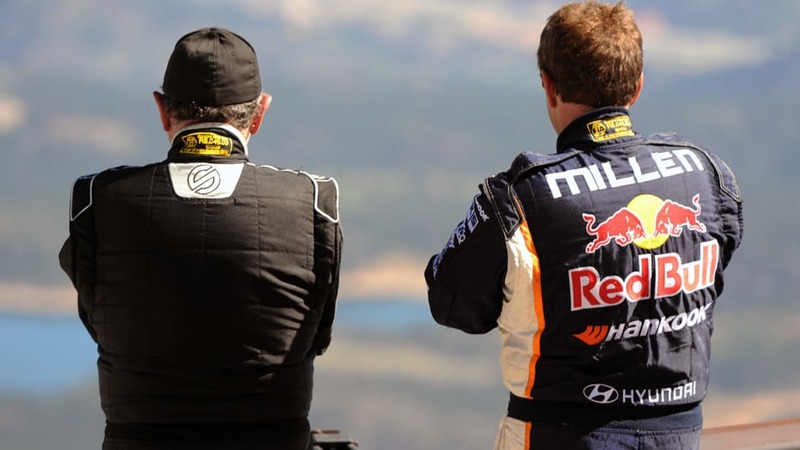 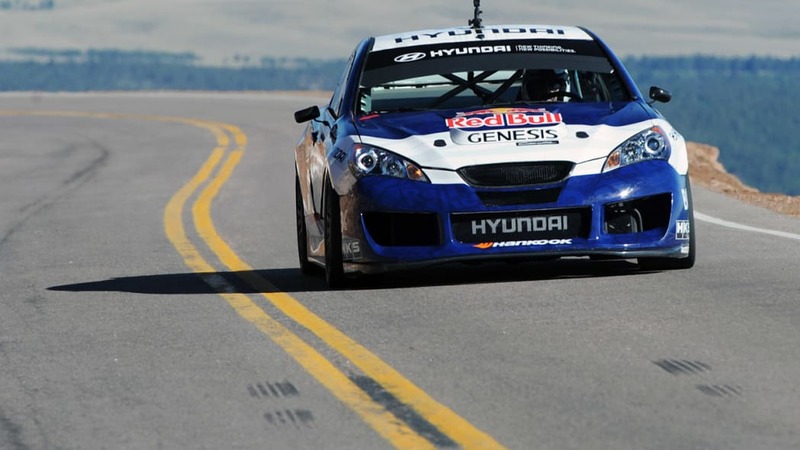 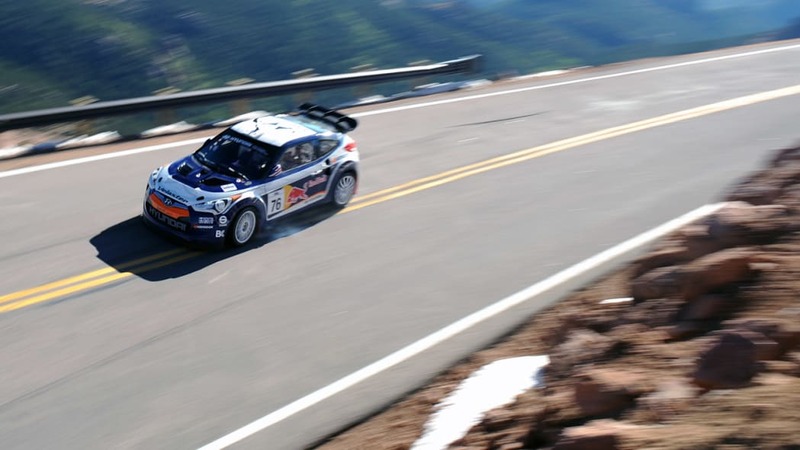 Other than that the car is rock solid and I'm really happy." 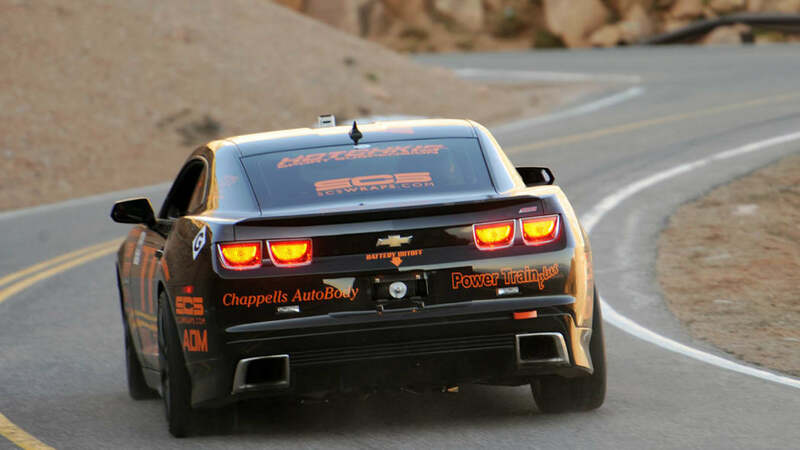 Paul Dallenbach was also extremely happy with his new twin-turbo engine courtesy of Banks Power. 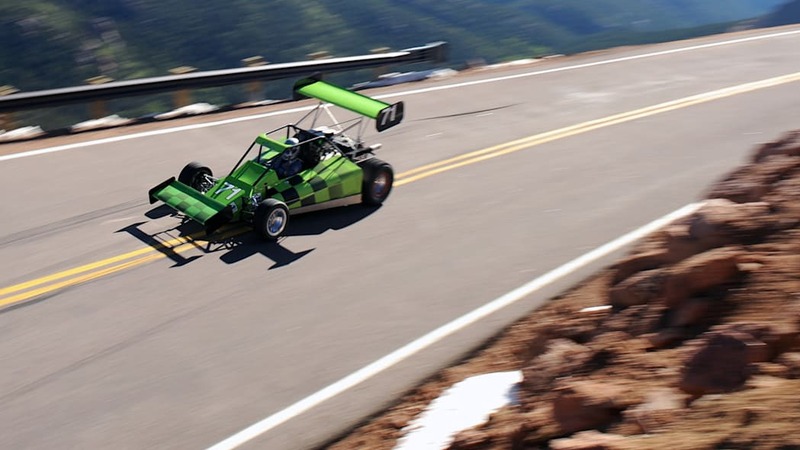 "The new engine is great," he said. 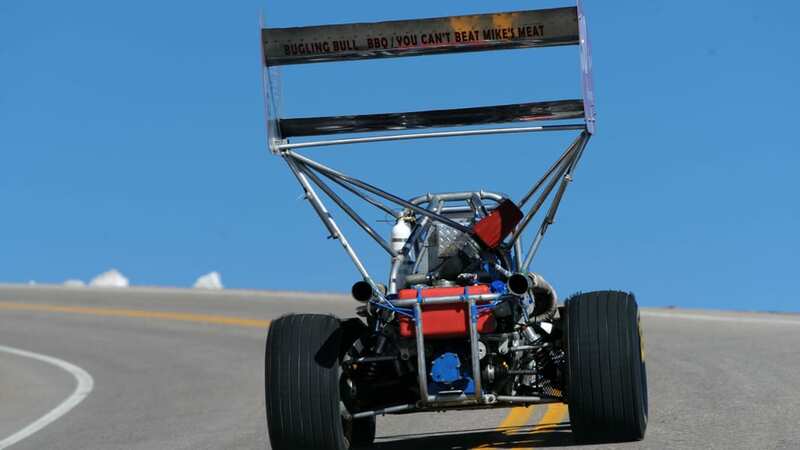 "With the two turbos on there I'm not lacking for any horsepower." 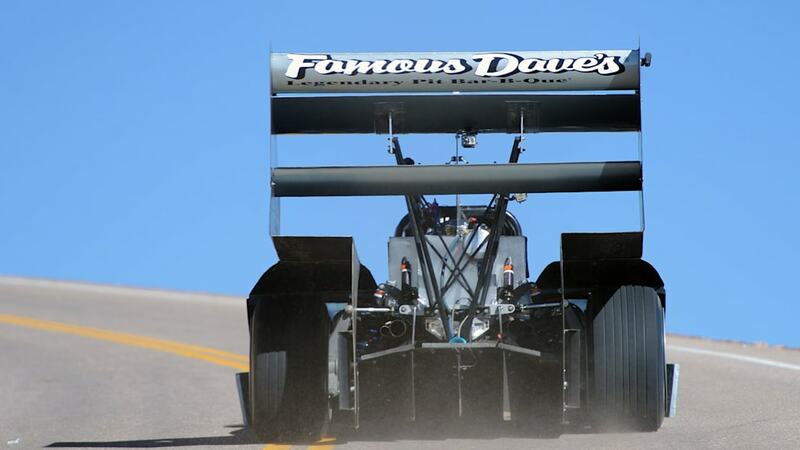 We did notice he seemed to be struggling for traction, and we asked him if he had perhaps overdone it with more than 1,300 horsepower on tap. 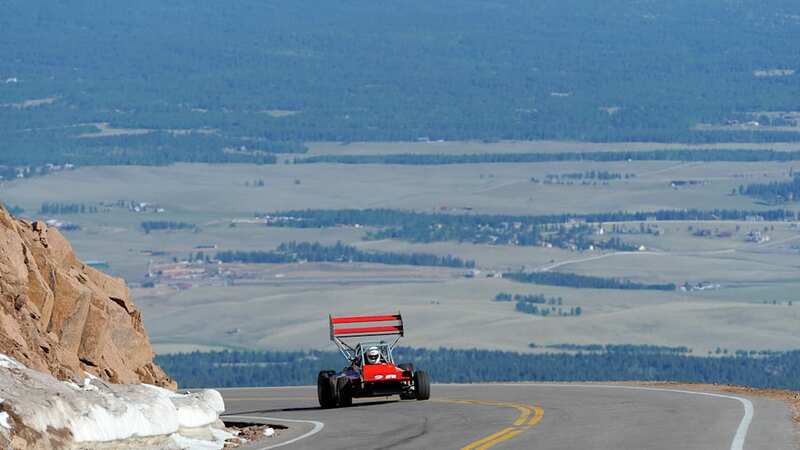 "I don't want to say too much power because I've been up here for so many years with not enough," he joked. 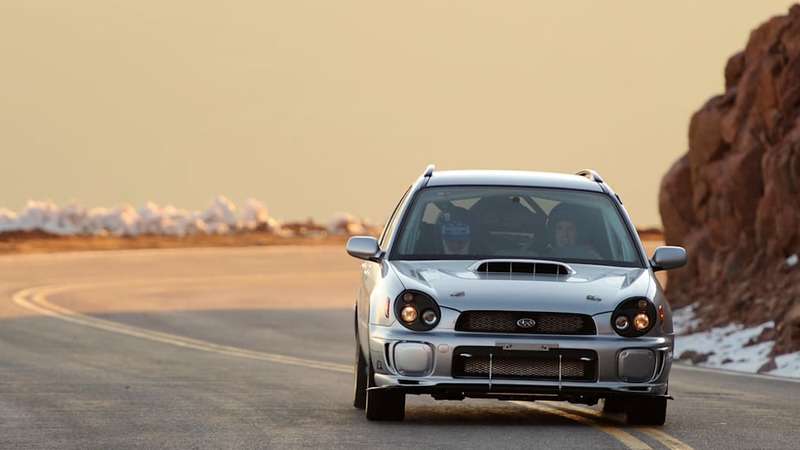 "So, no, I don't think there's too much power." 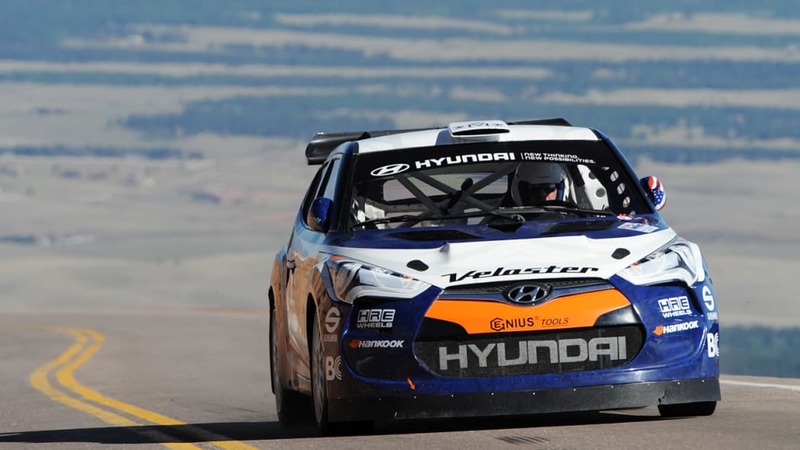 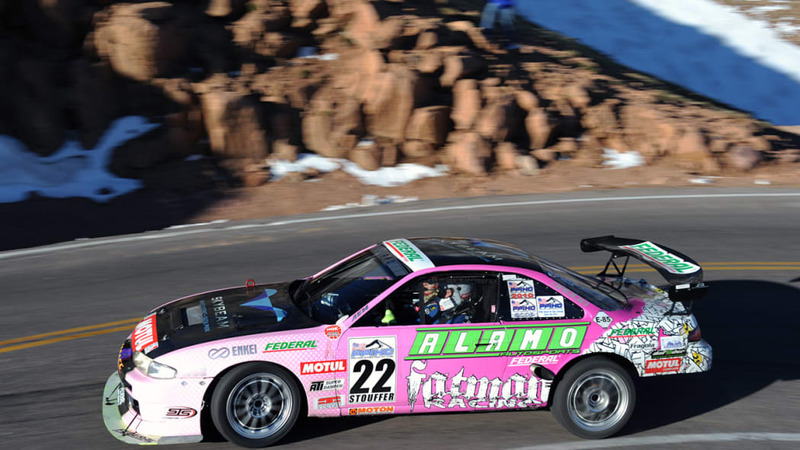 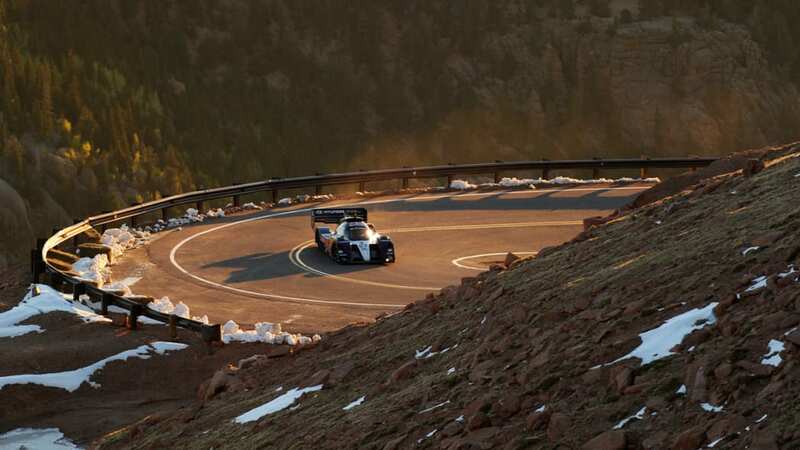 The other big story of the day was the return of Rod Millen to Pikes Peak, who raced on the mountain for the first time in more than a decade. 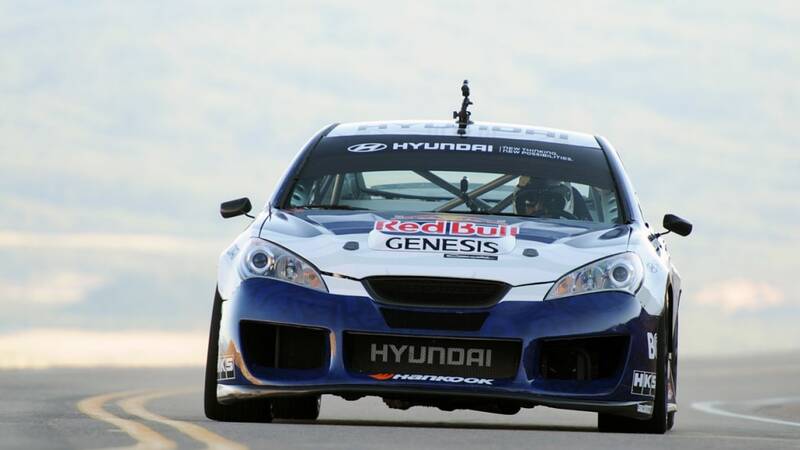 He seemed to be enjoying driving Rhys' Hyundai Genesis drift car and looks to be the man to beat in the 2WD Time Attack class. 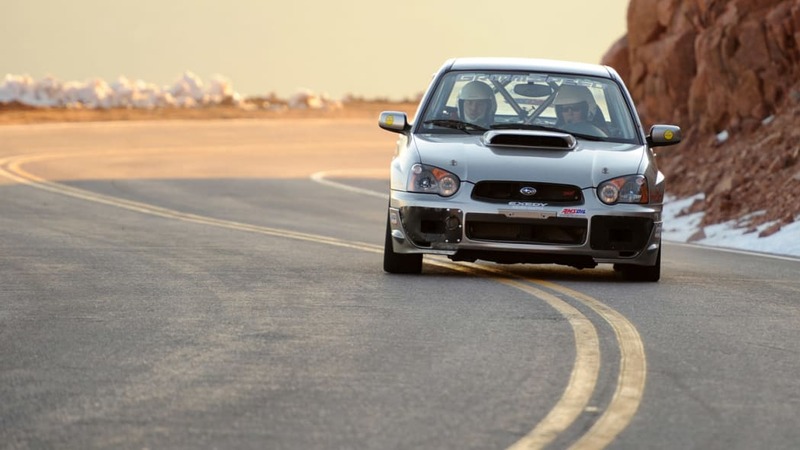 "It's fun, I'm really enjoying it," he said about driving the car. 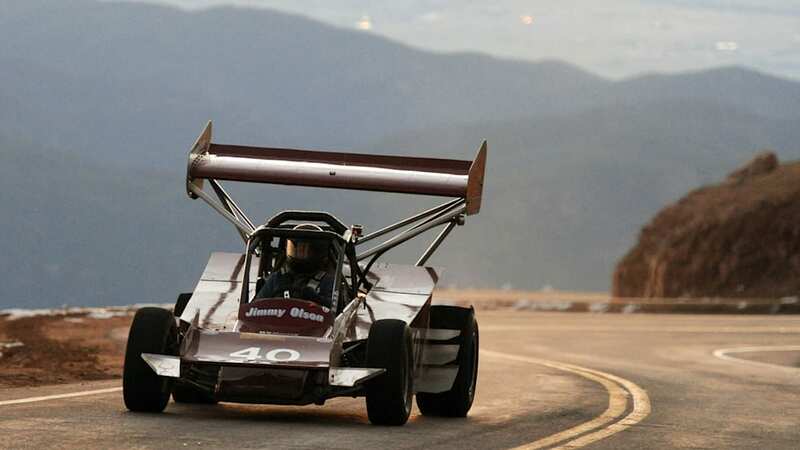 "Now I just have to keep the thing straight. 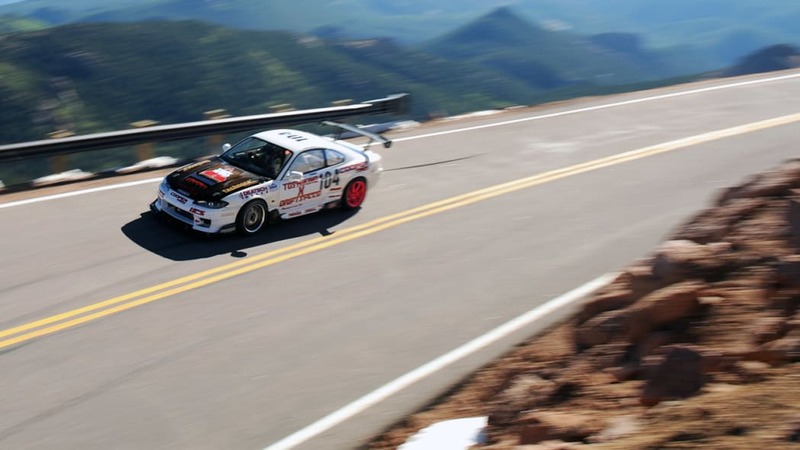 I guess that its daily job is to drift." 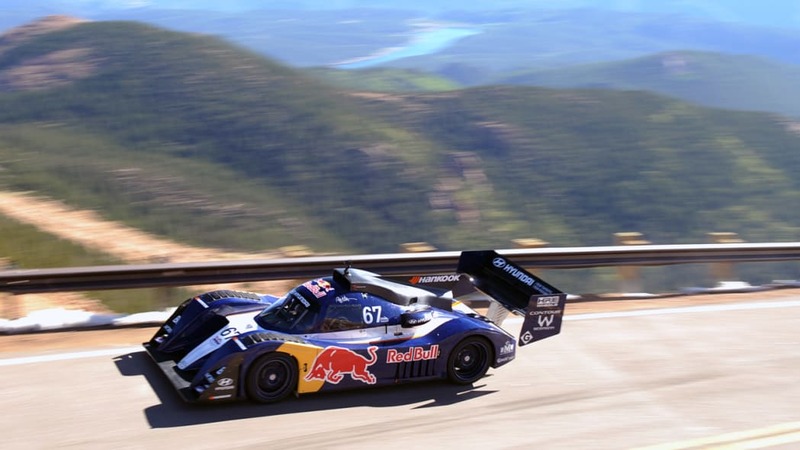 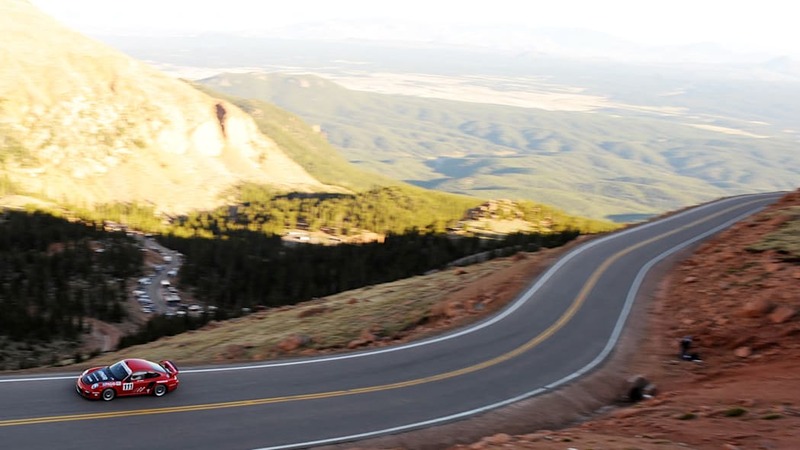 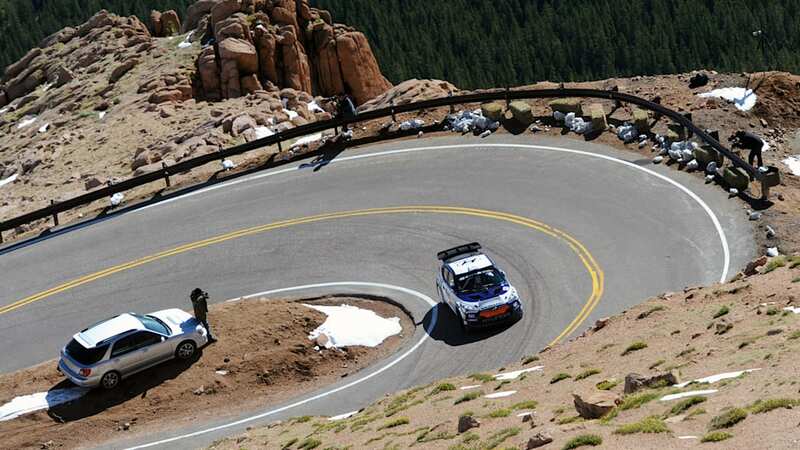 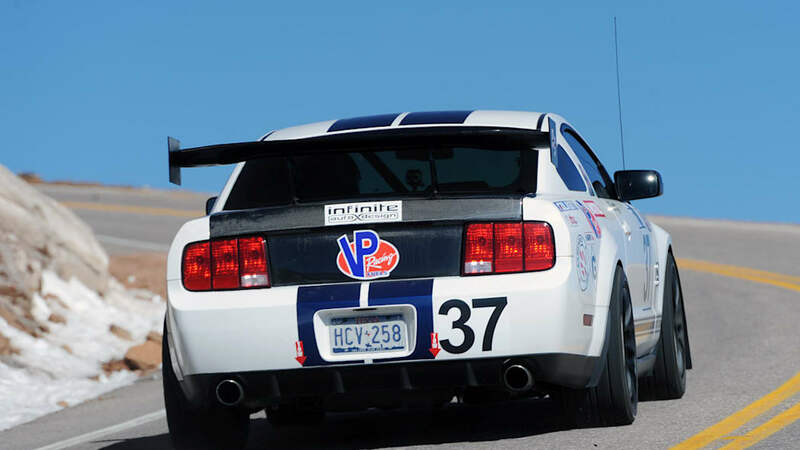 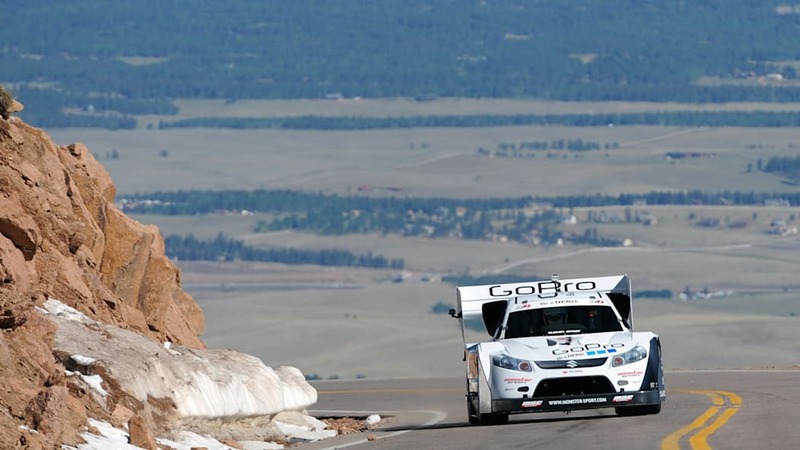 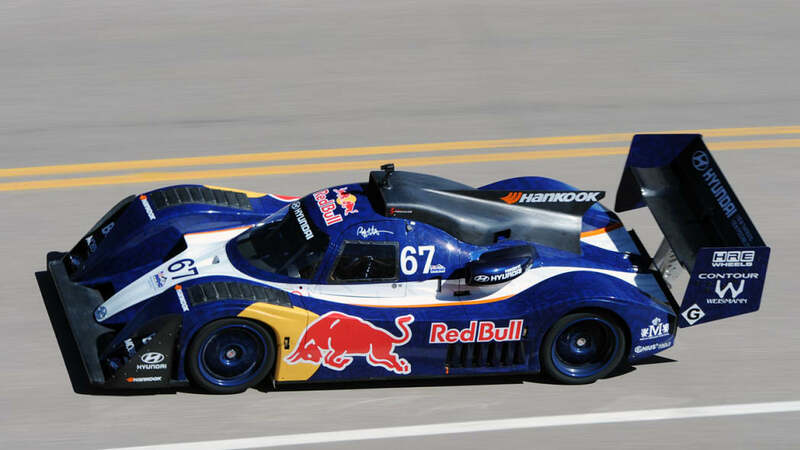 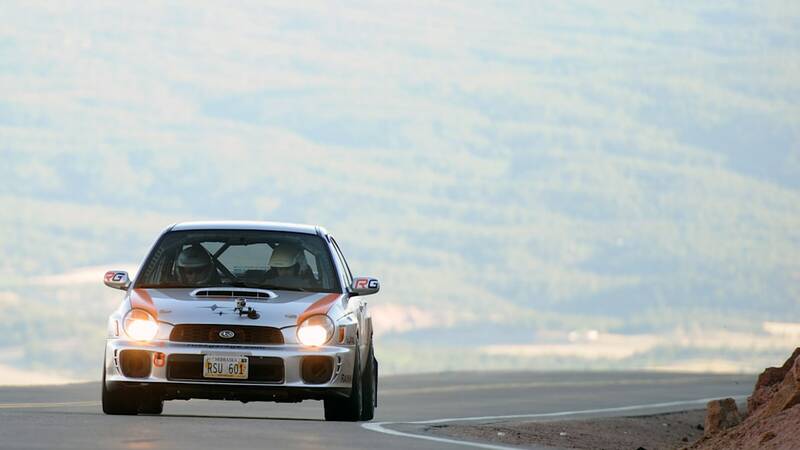 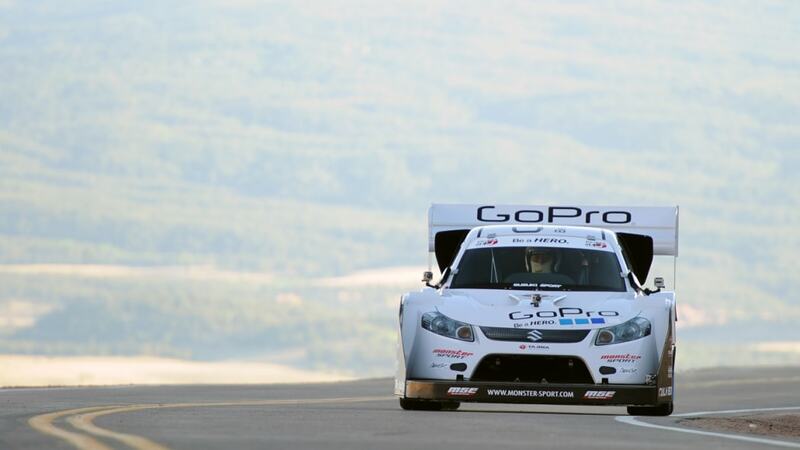 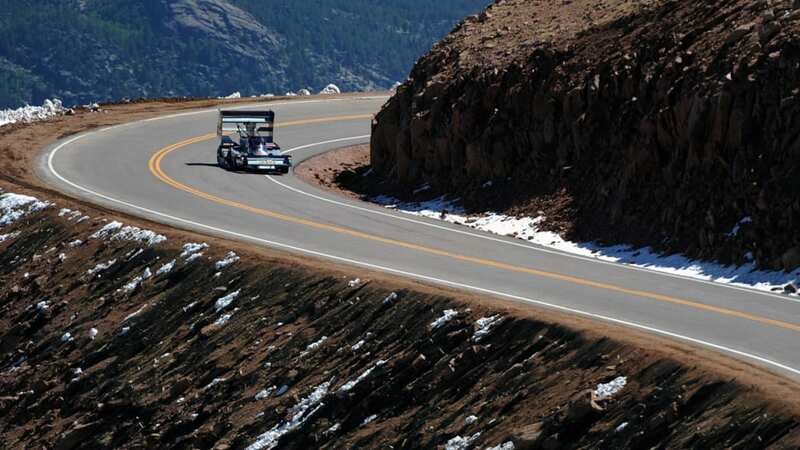 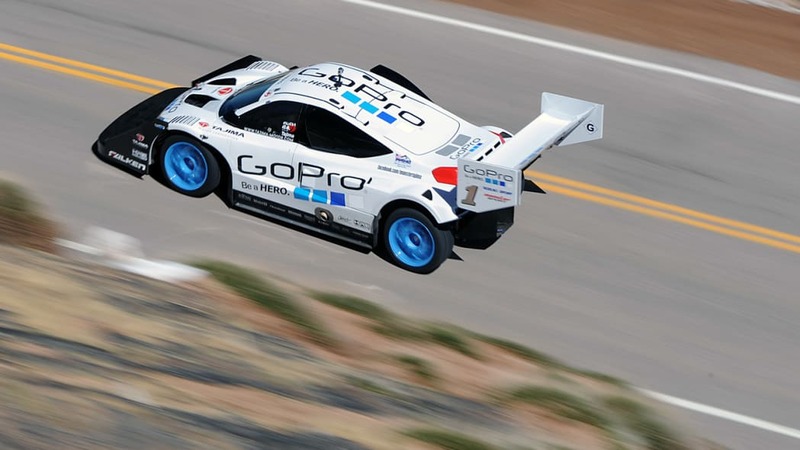 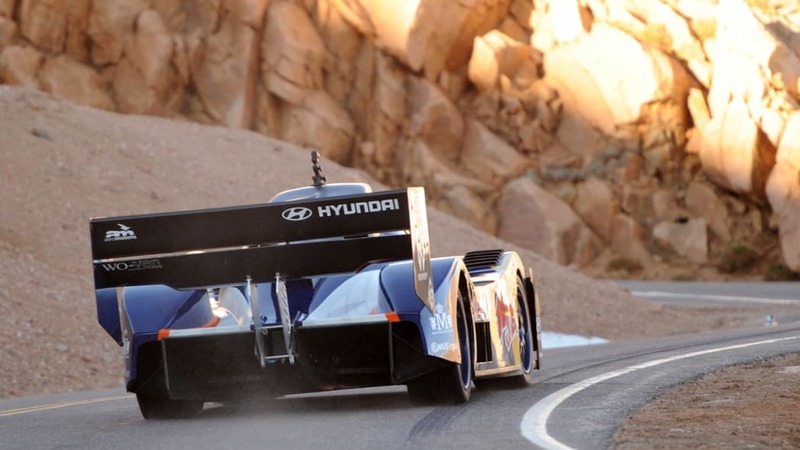 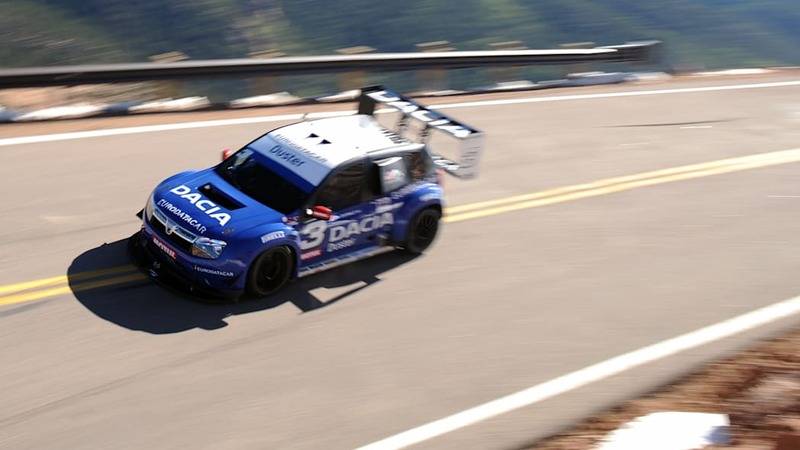 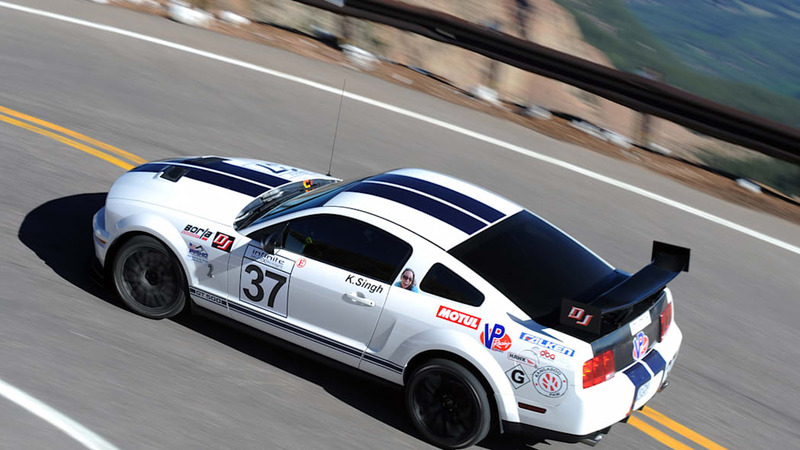 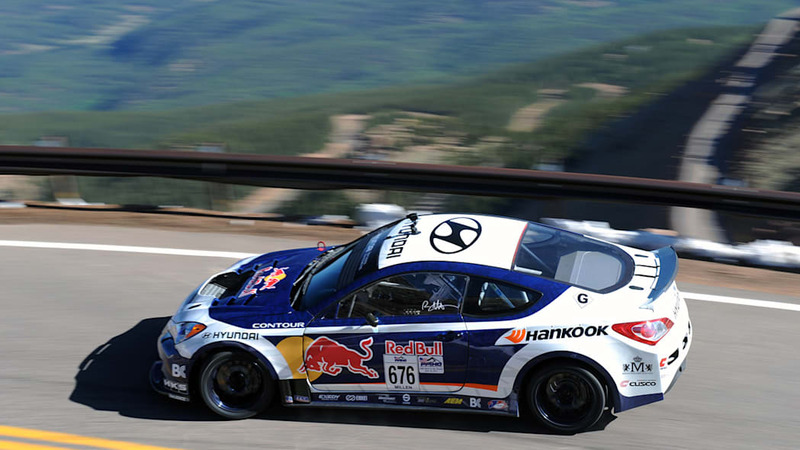 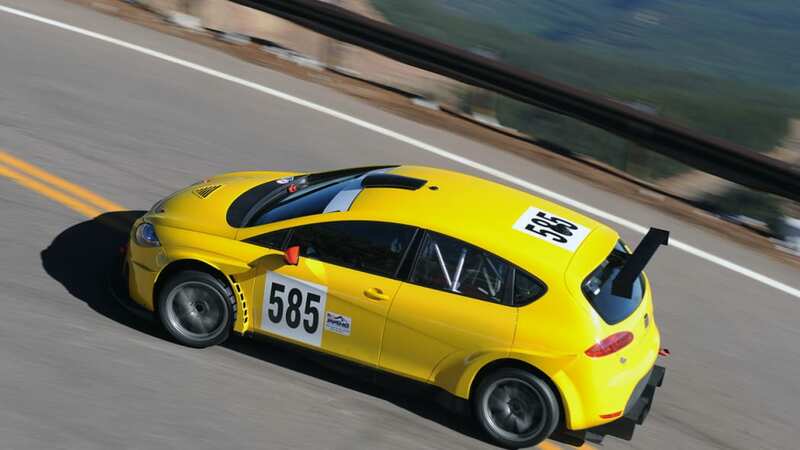 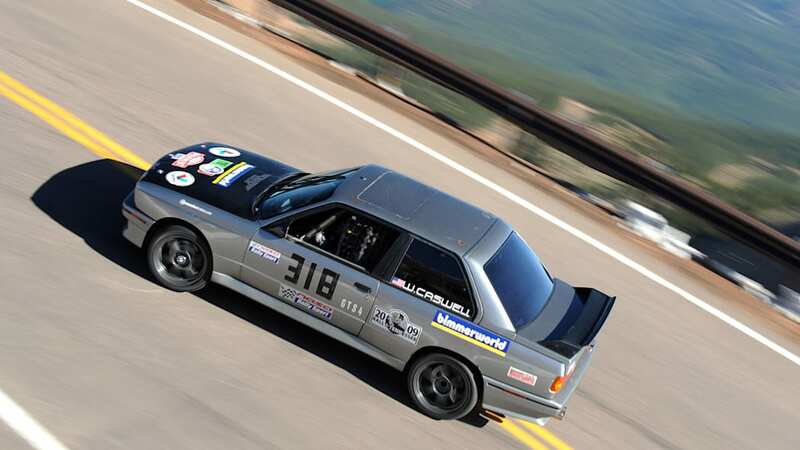 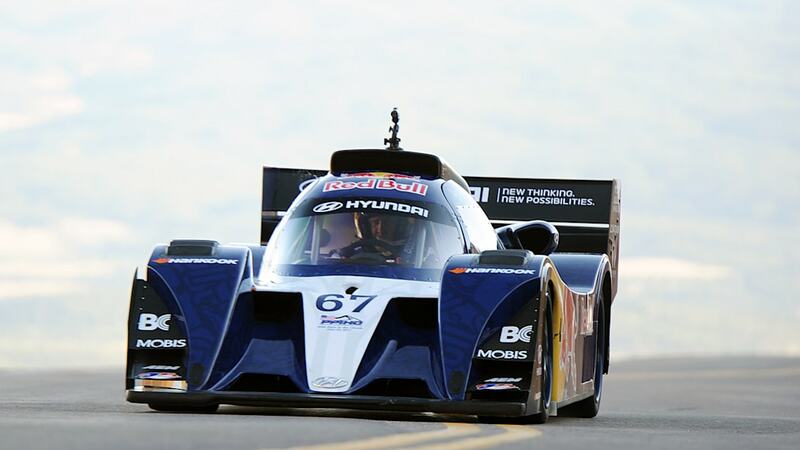 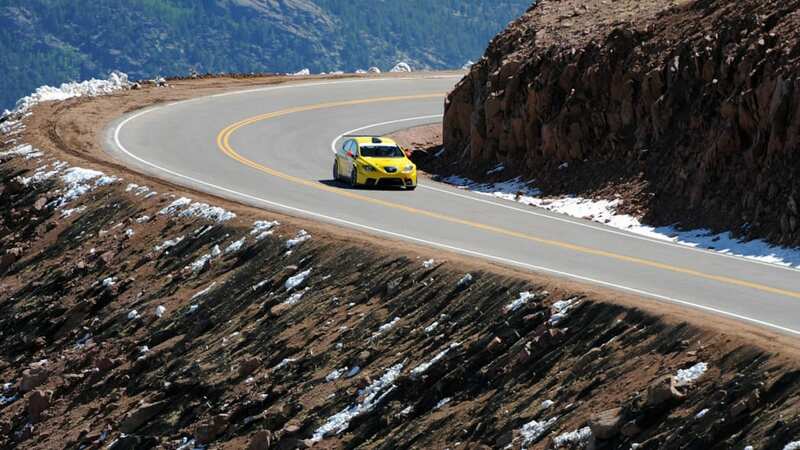 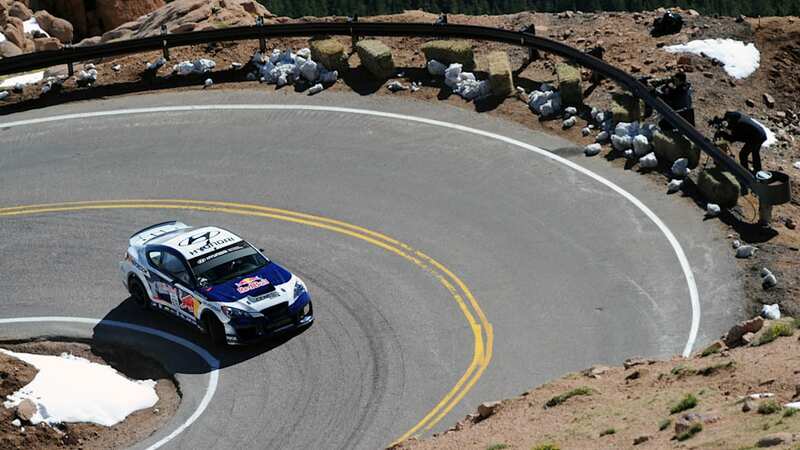 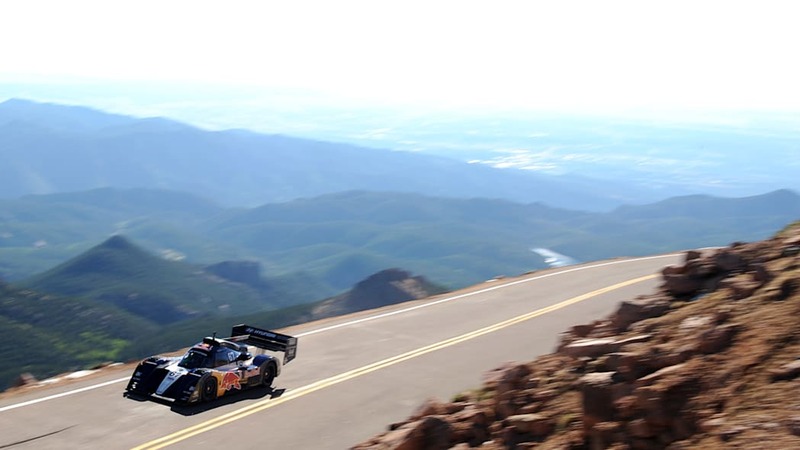 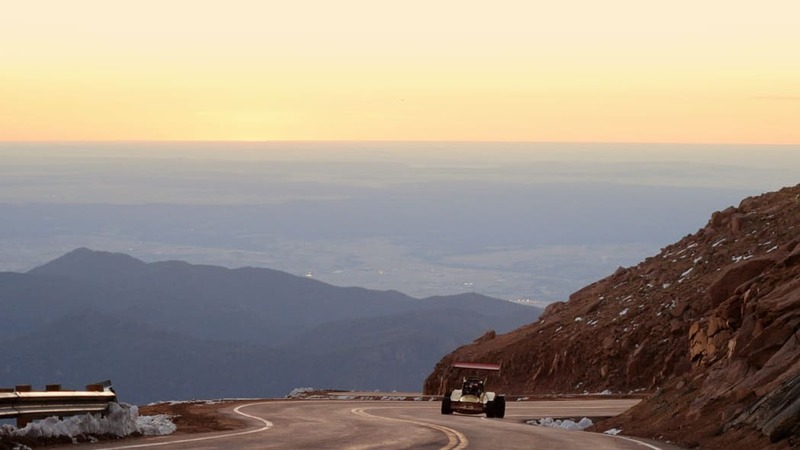 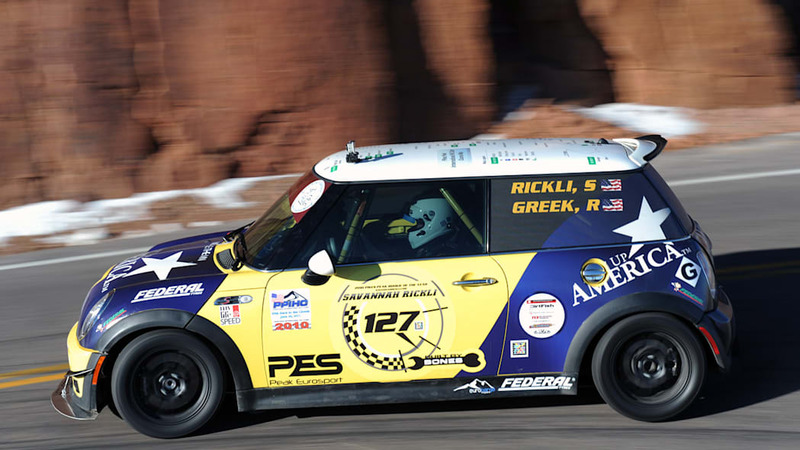 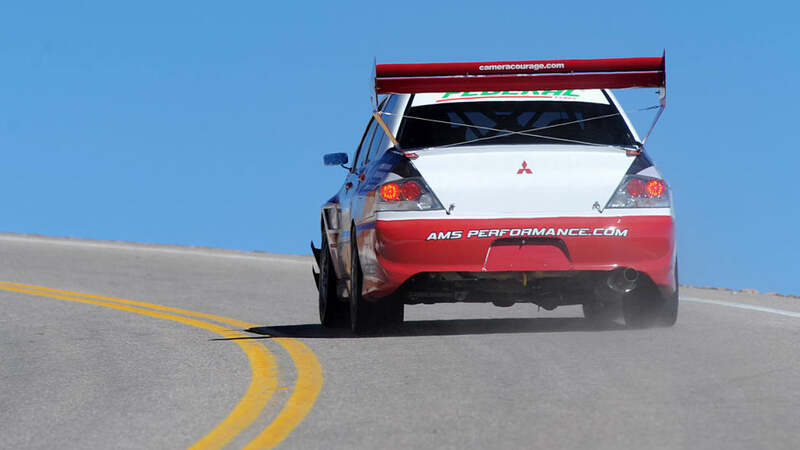 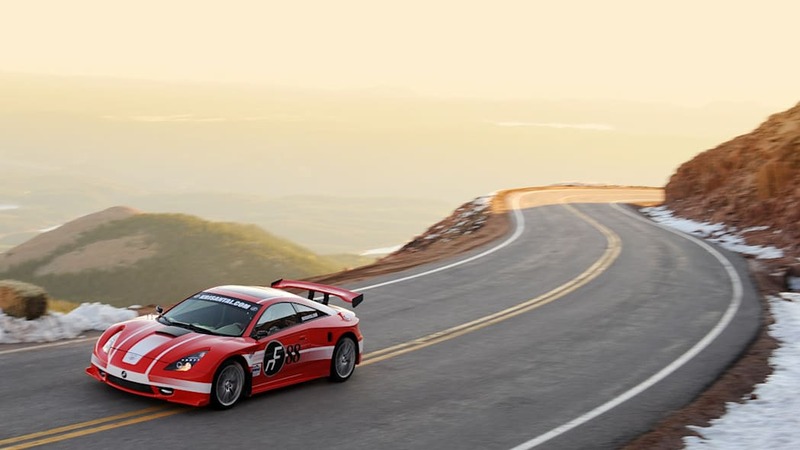 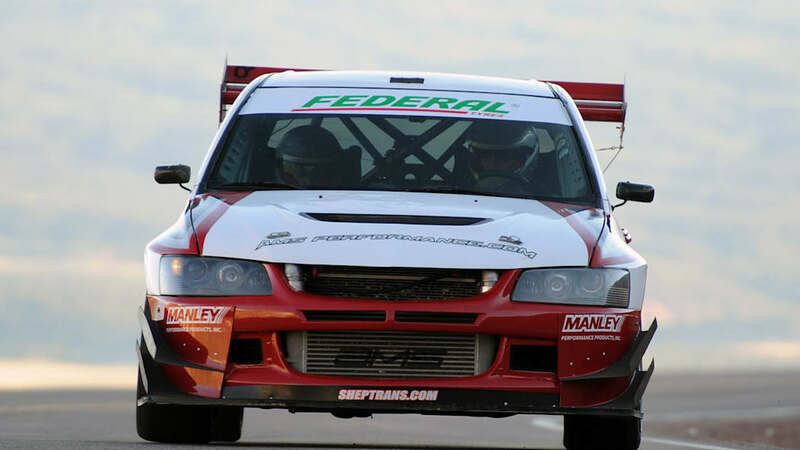 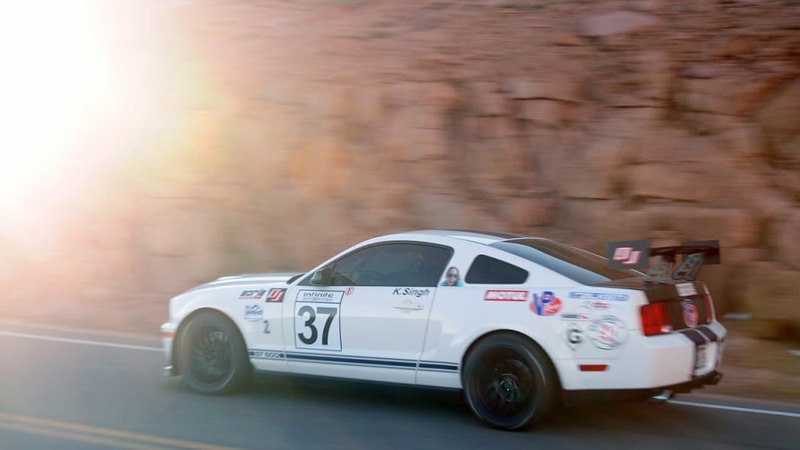 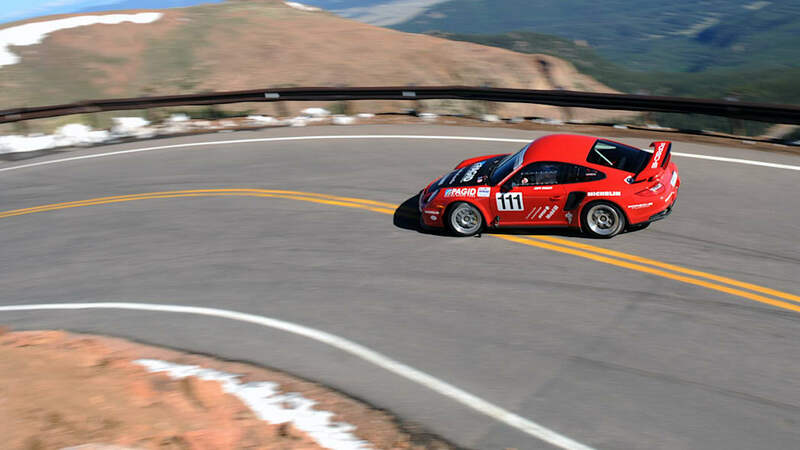 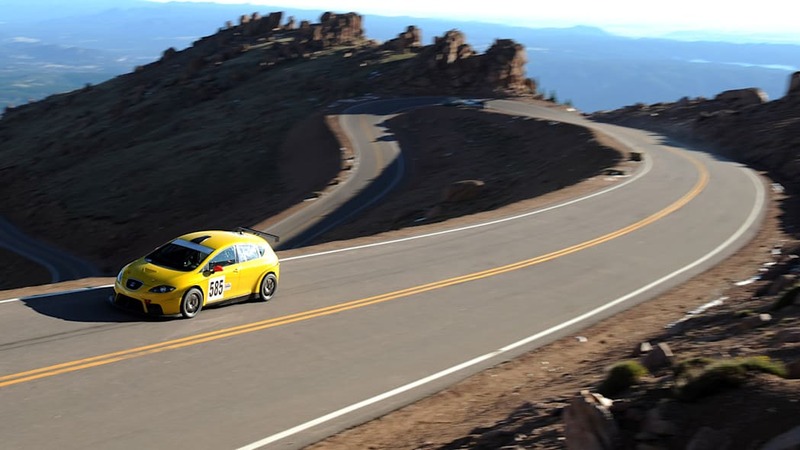 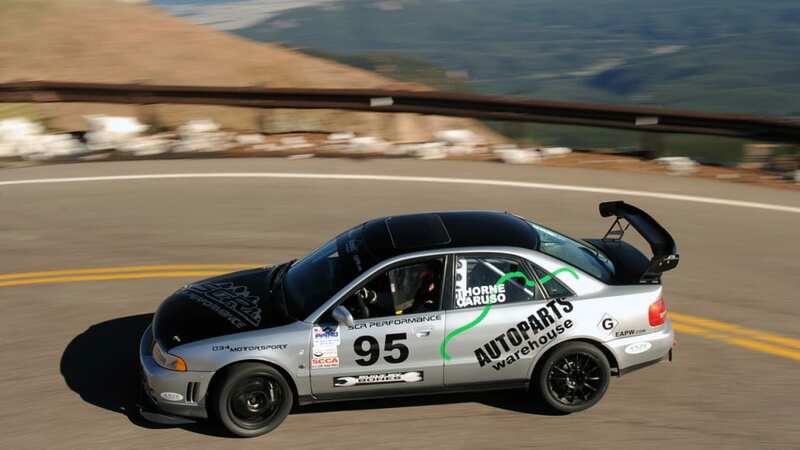 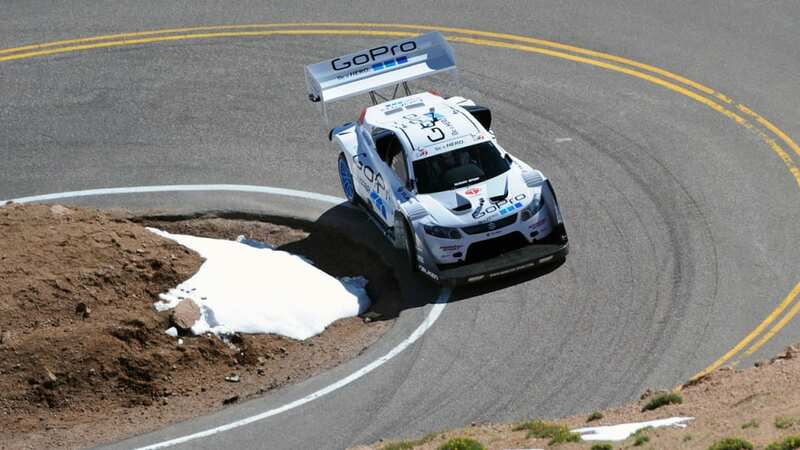 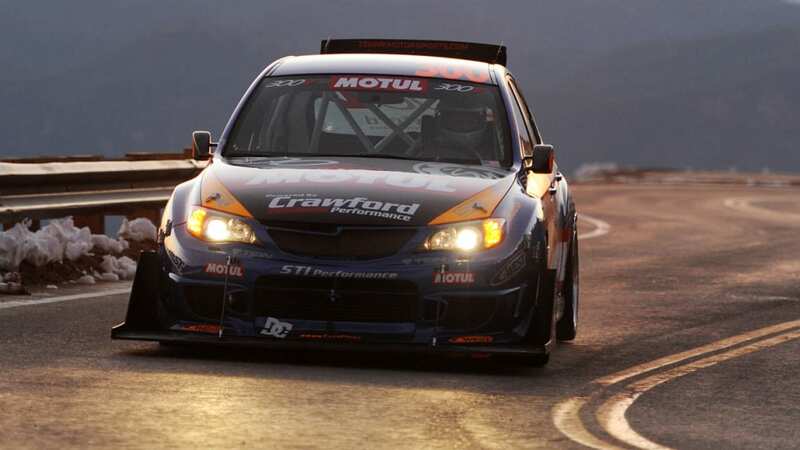 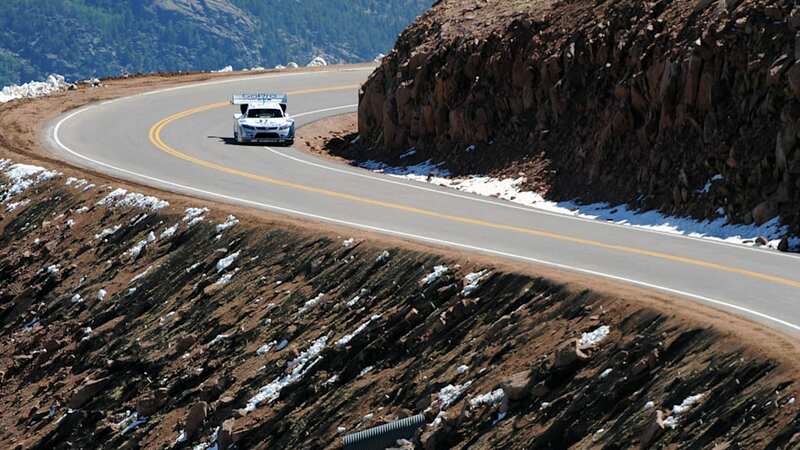 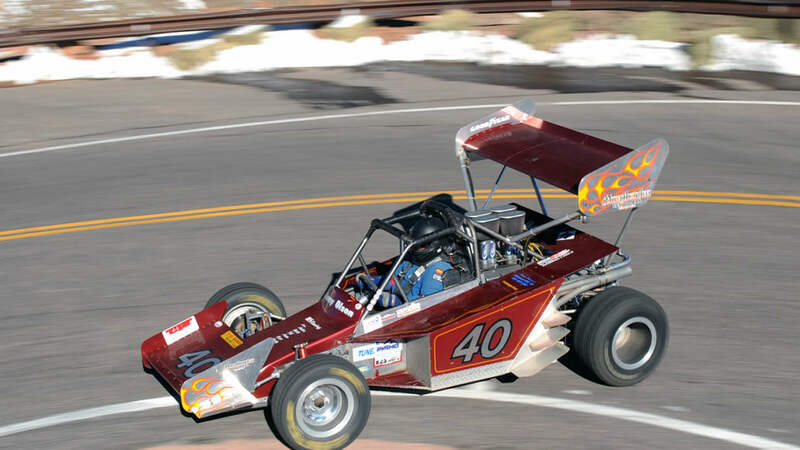 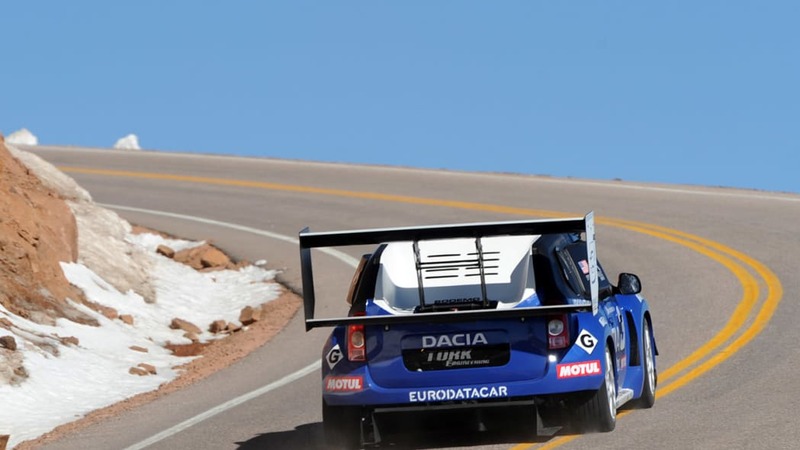 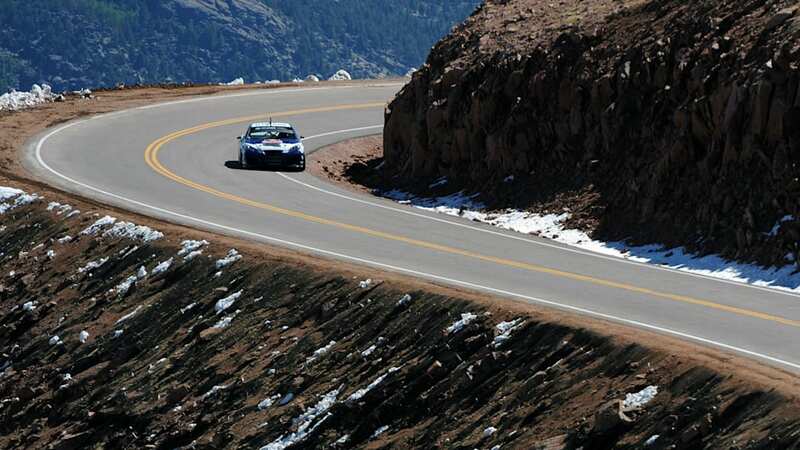 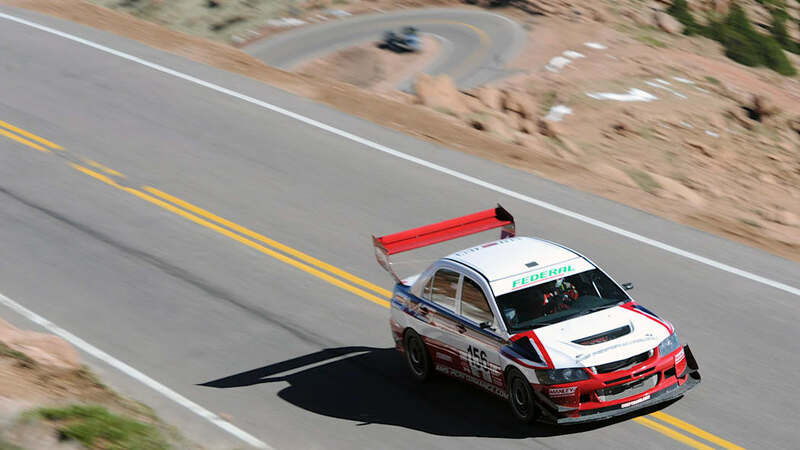 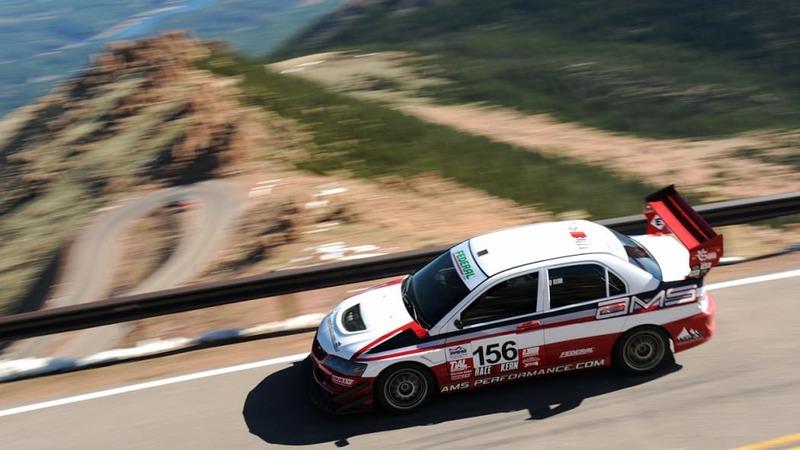 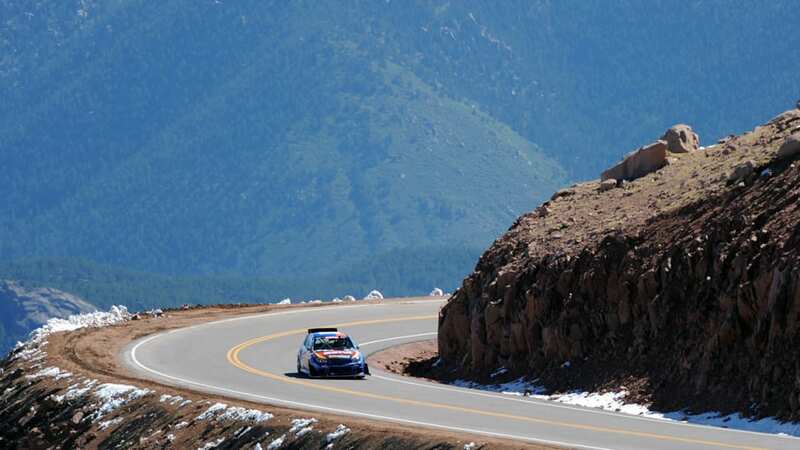 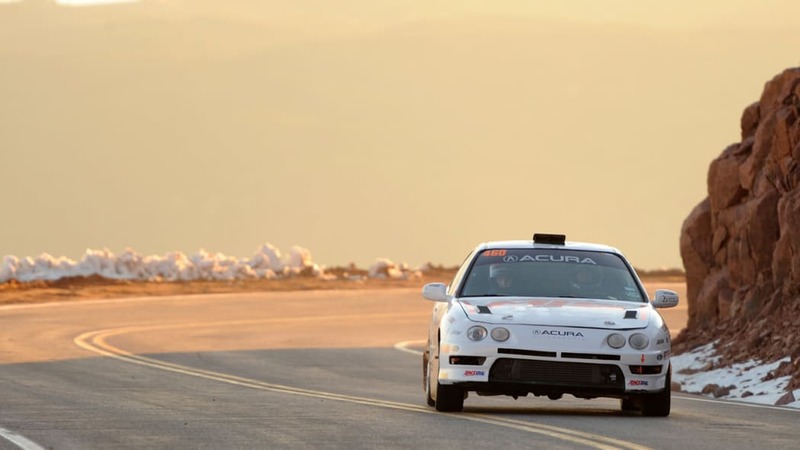 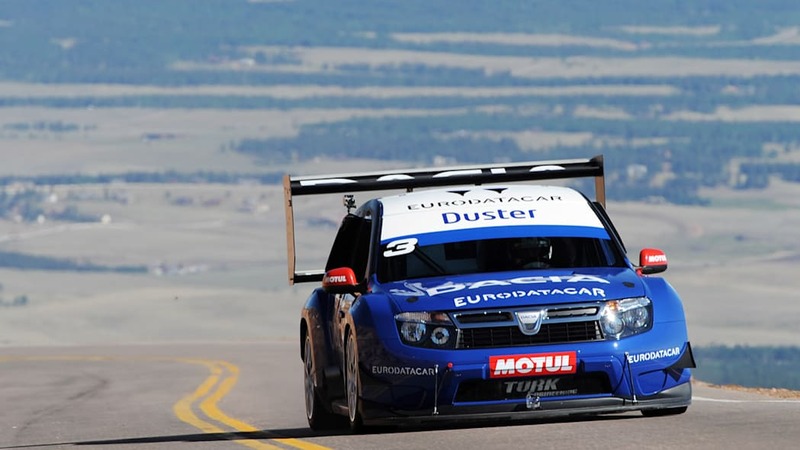 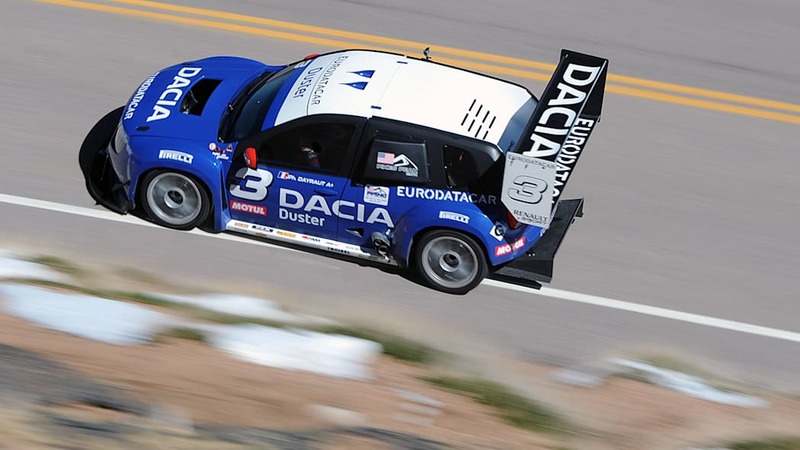 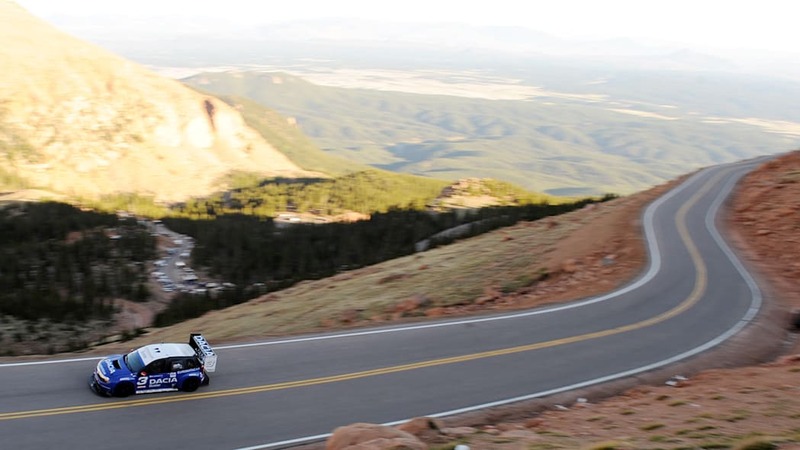 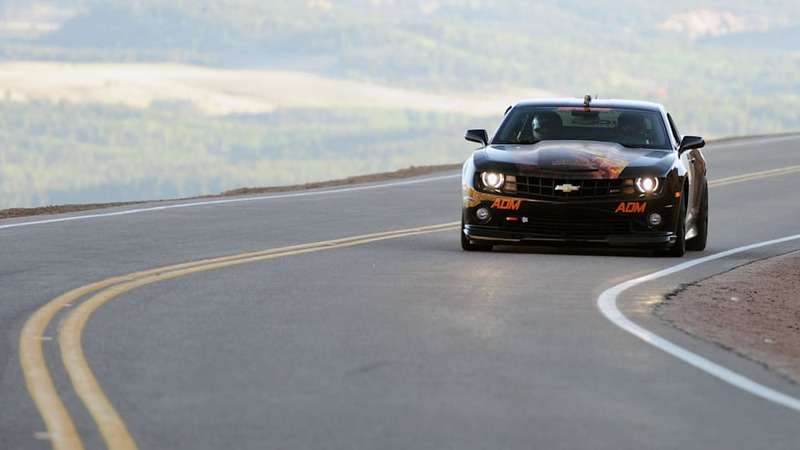 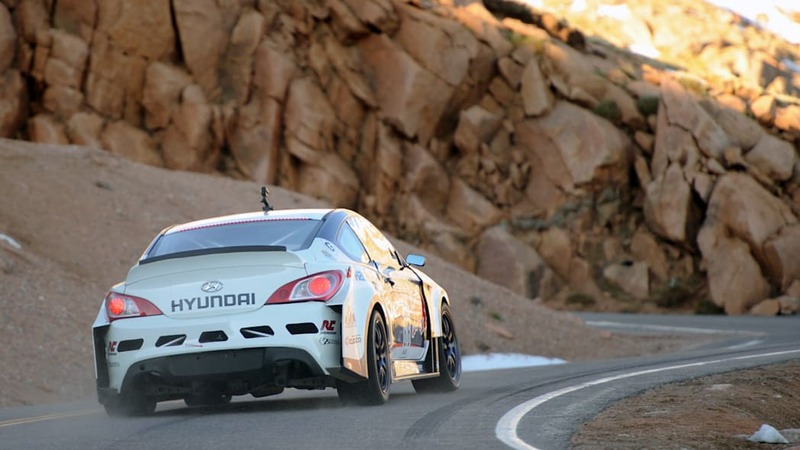 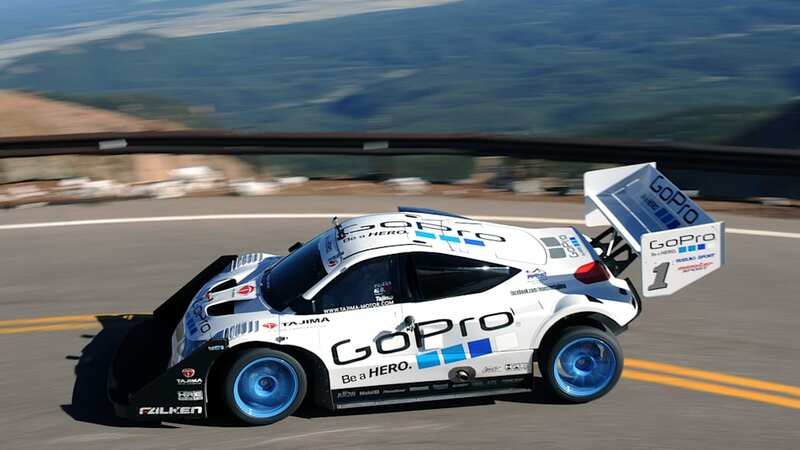 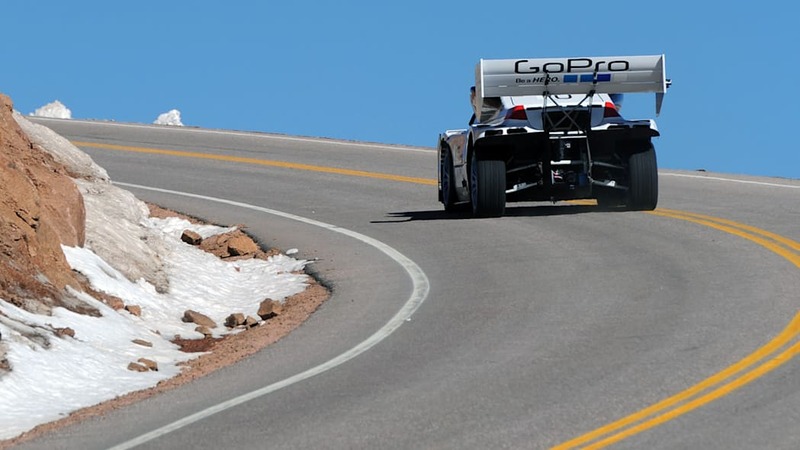 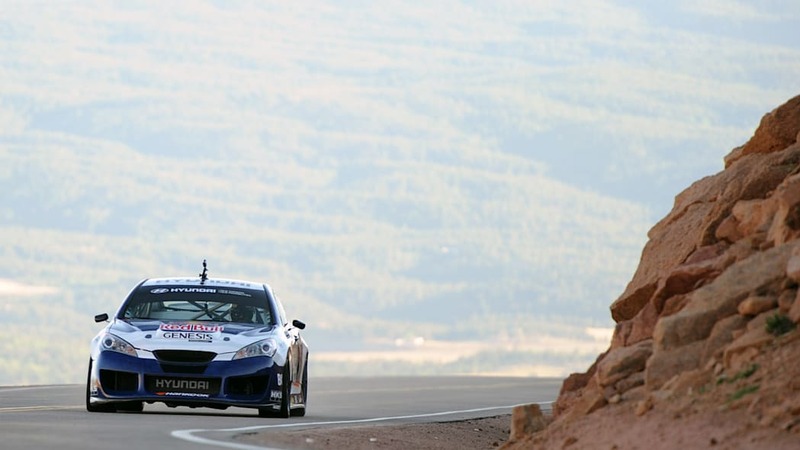 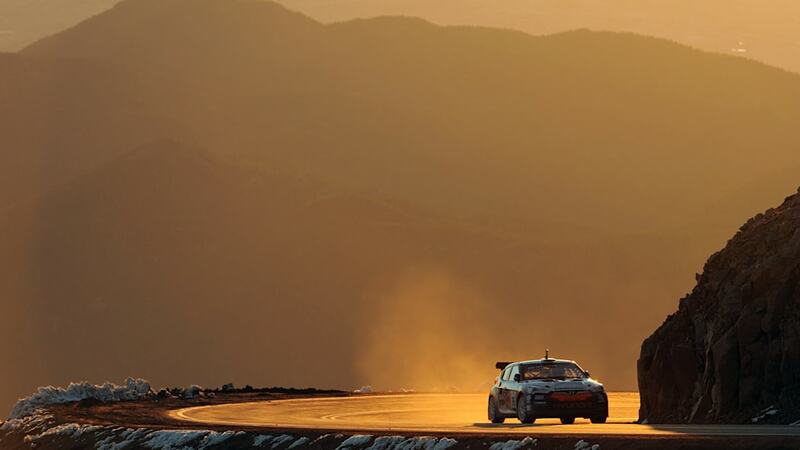 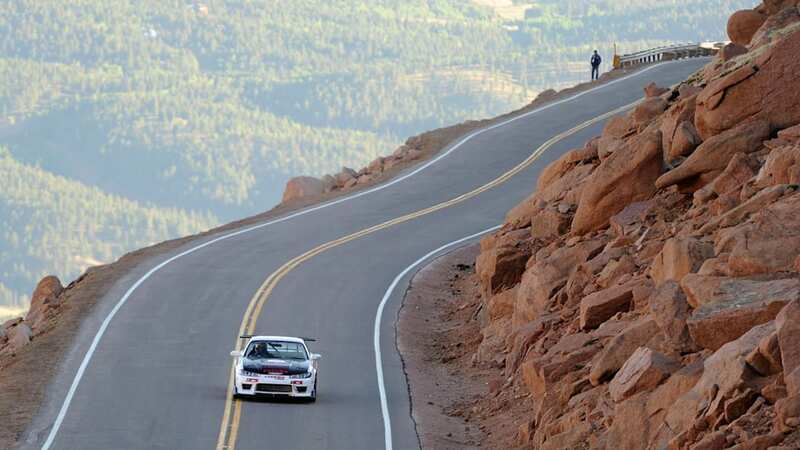 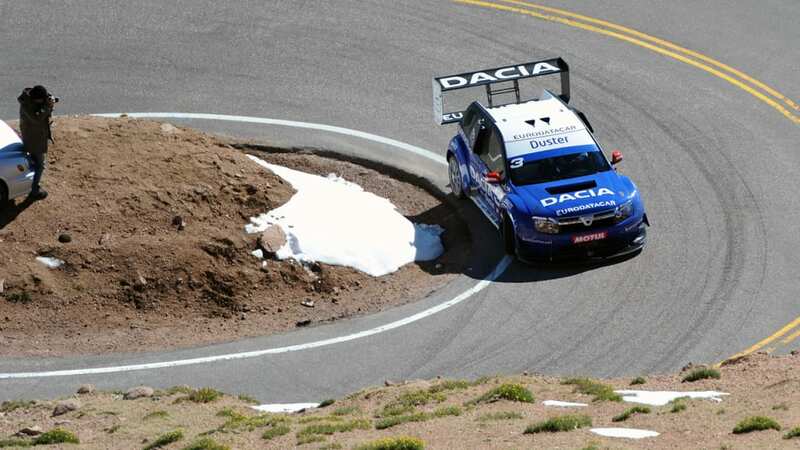 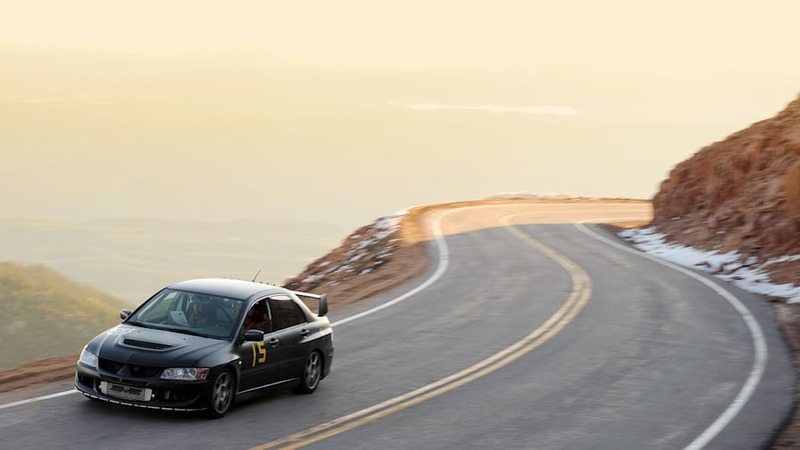 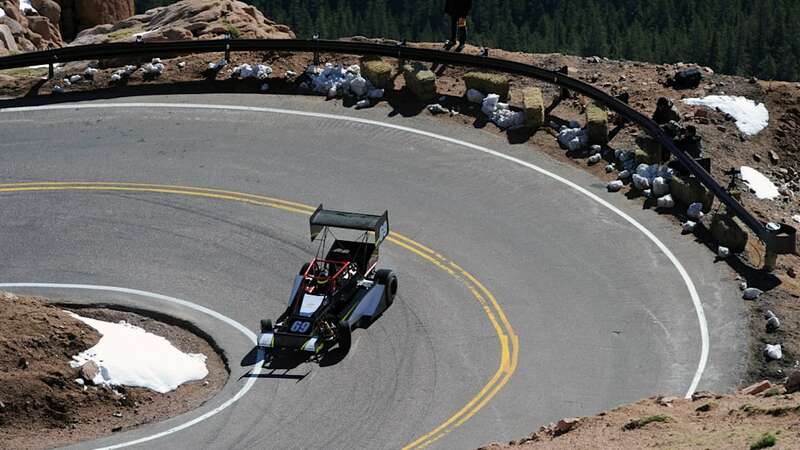 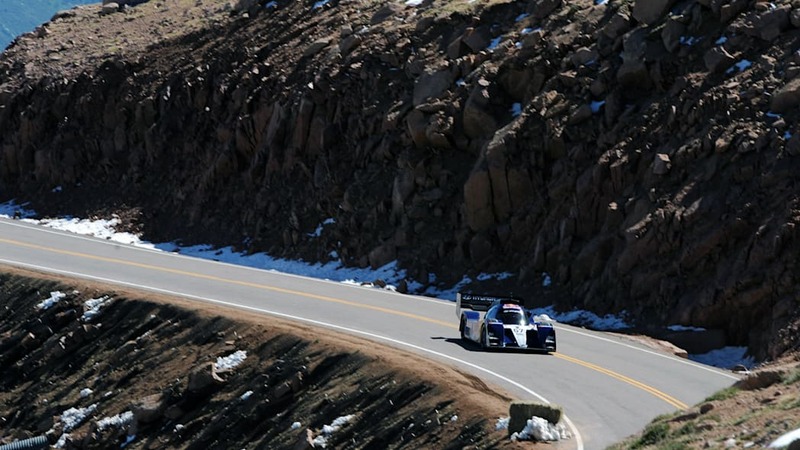 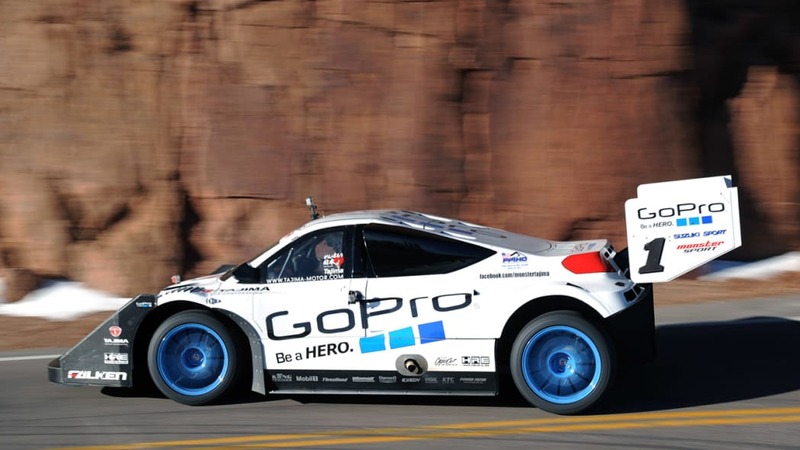 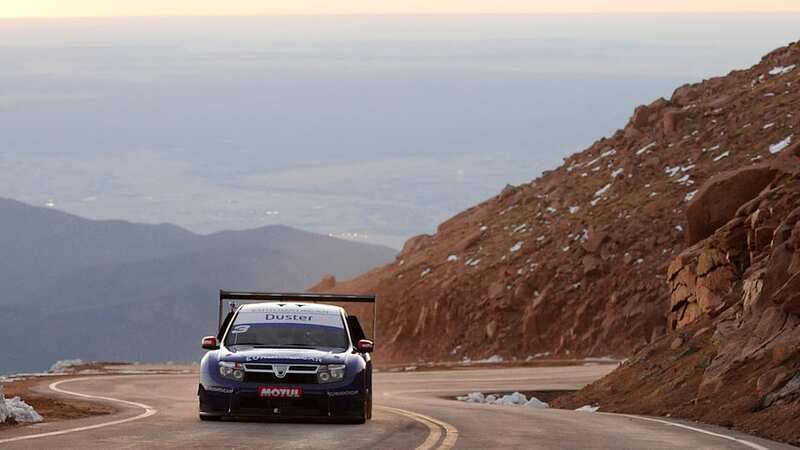 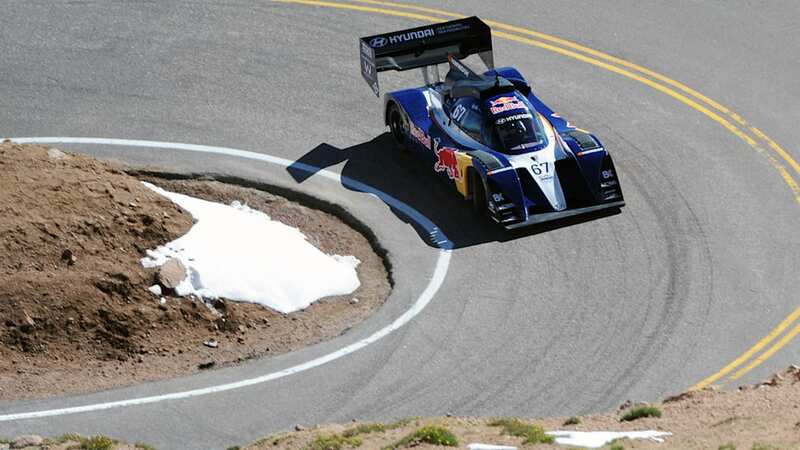 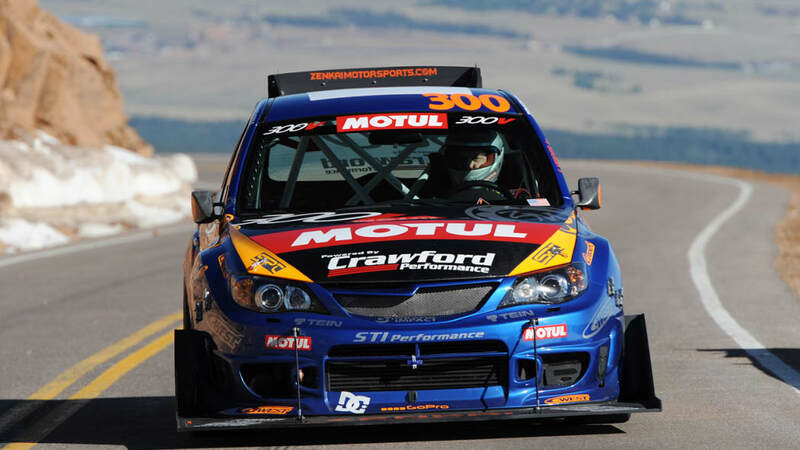 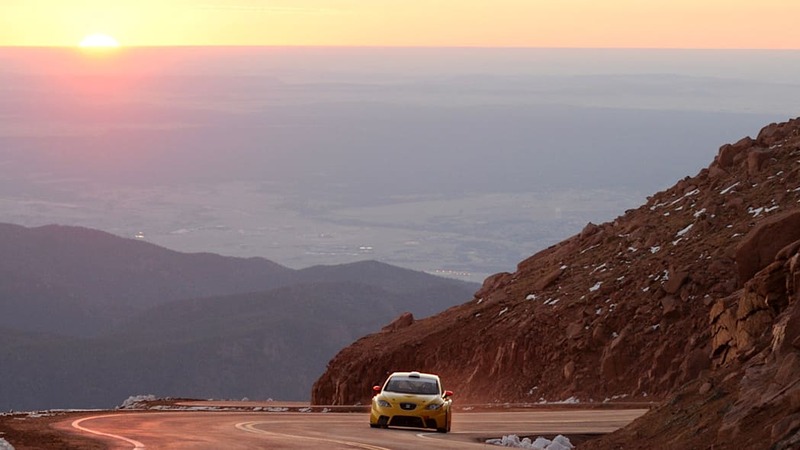 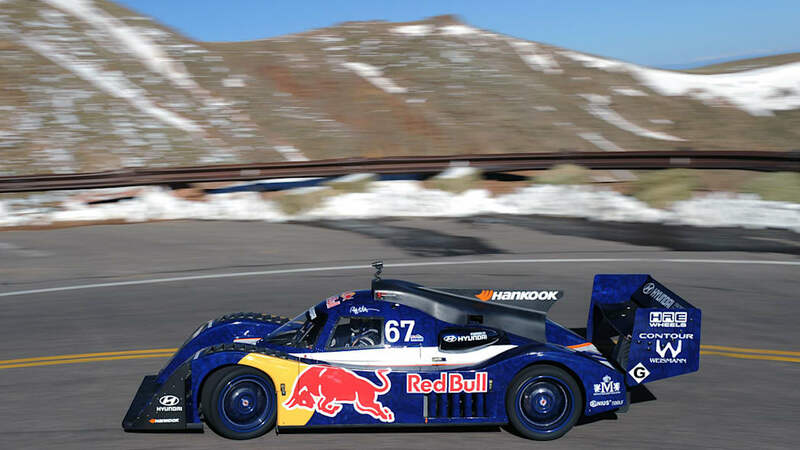 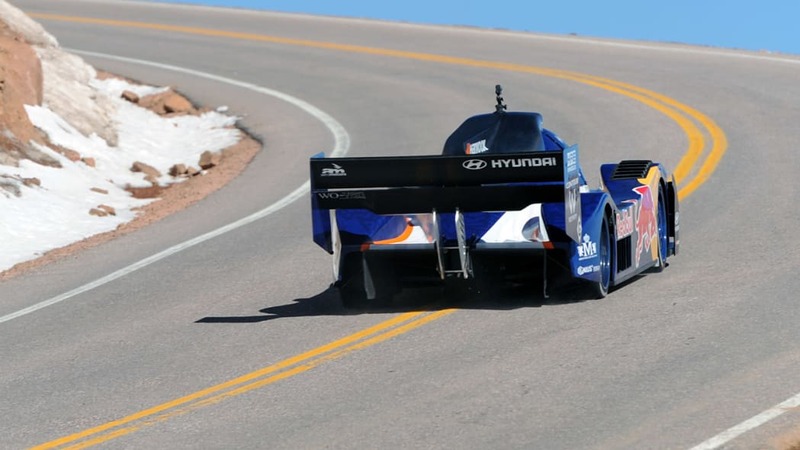 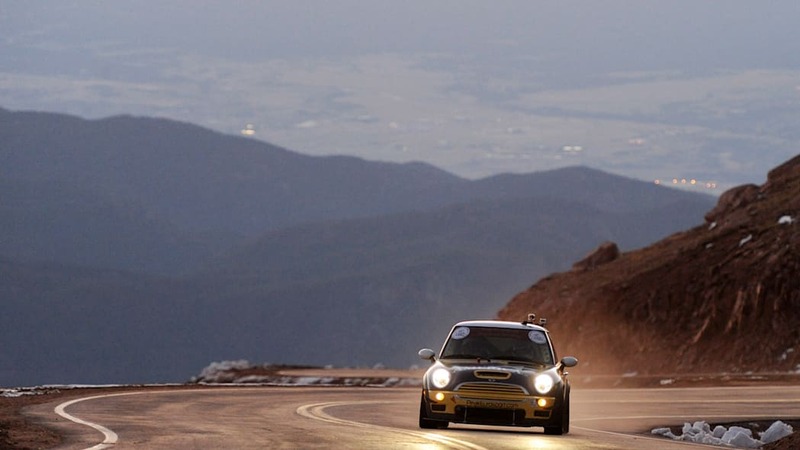 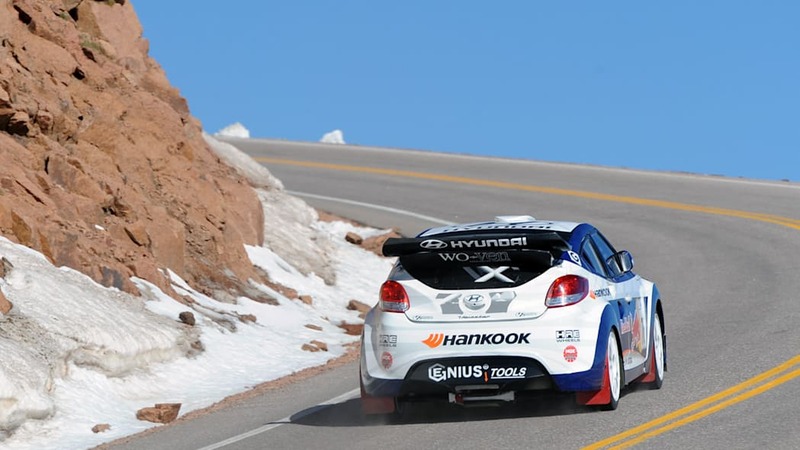 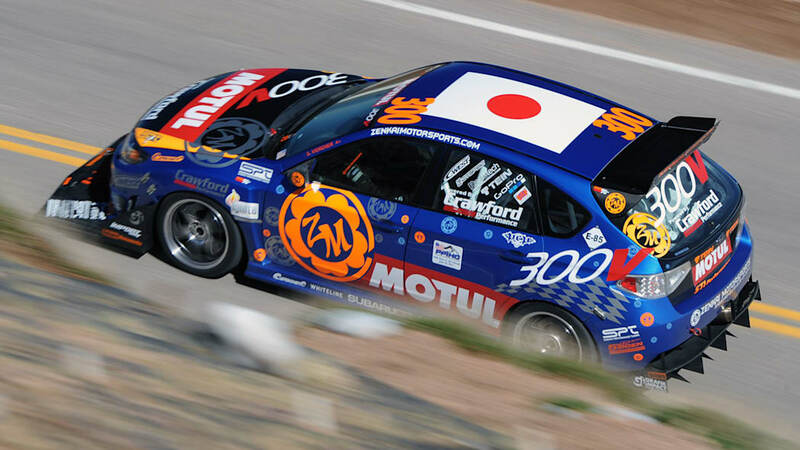 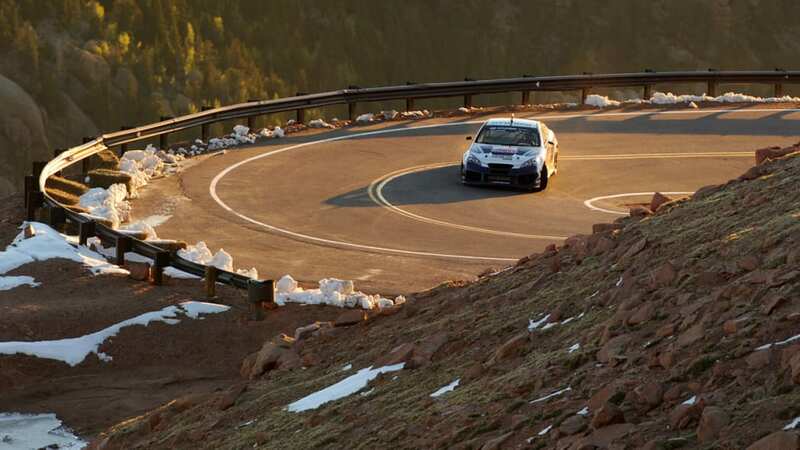 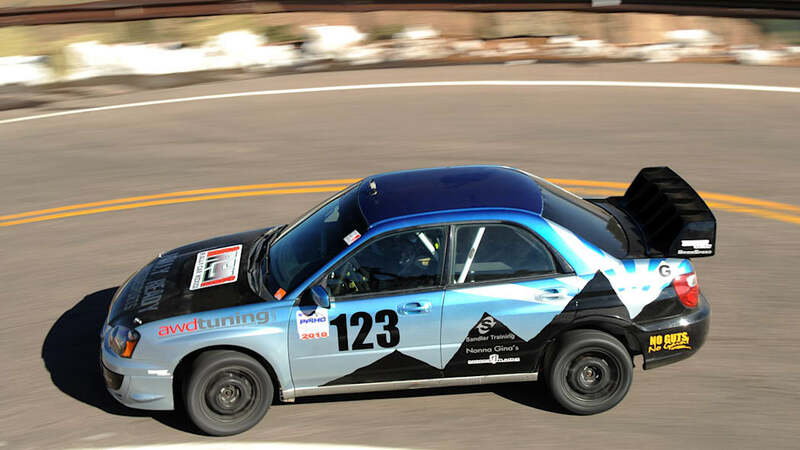 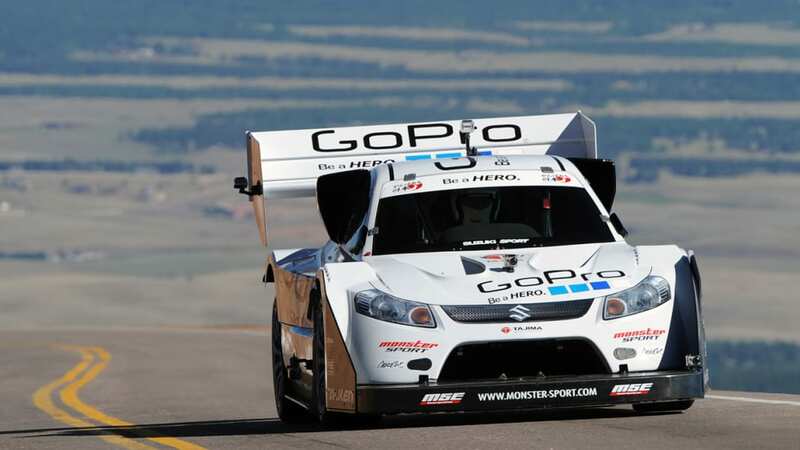 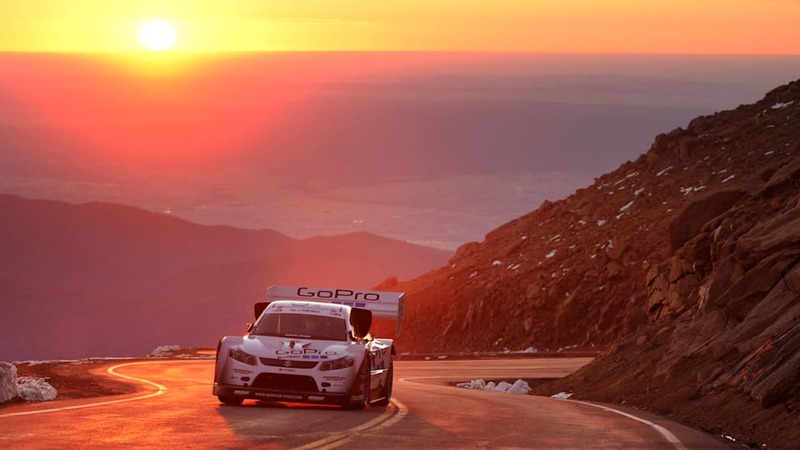 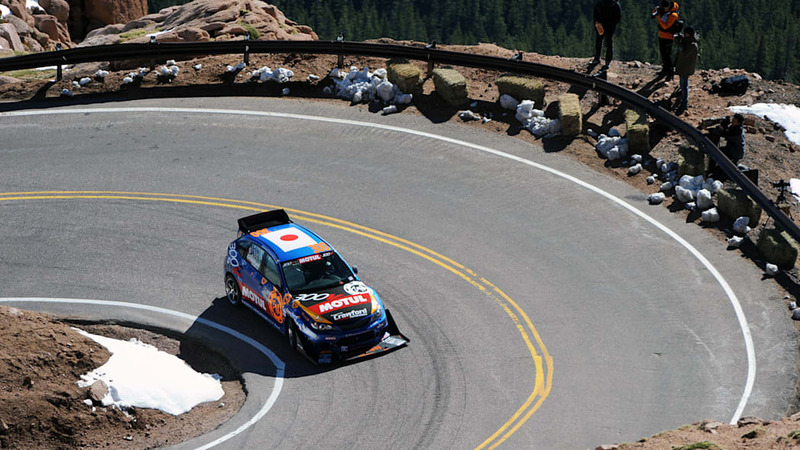 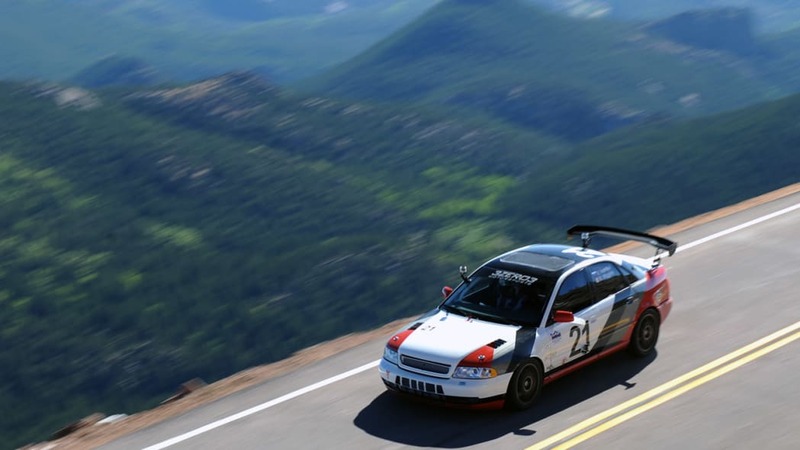 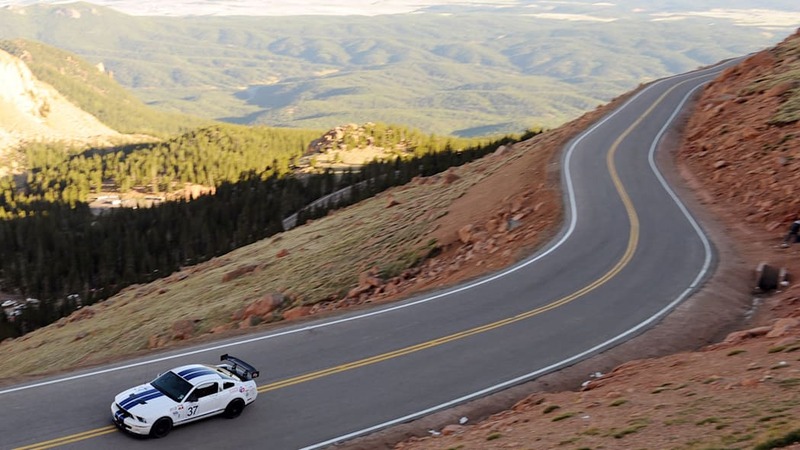 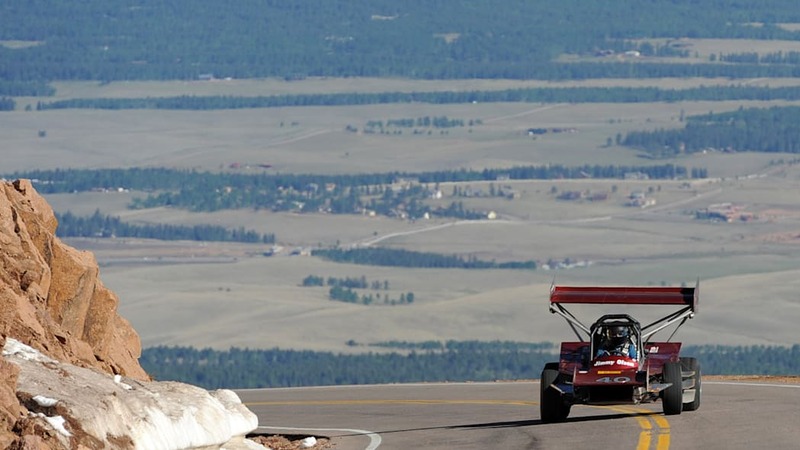 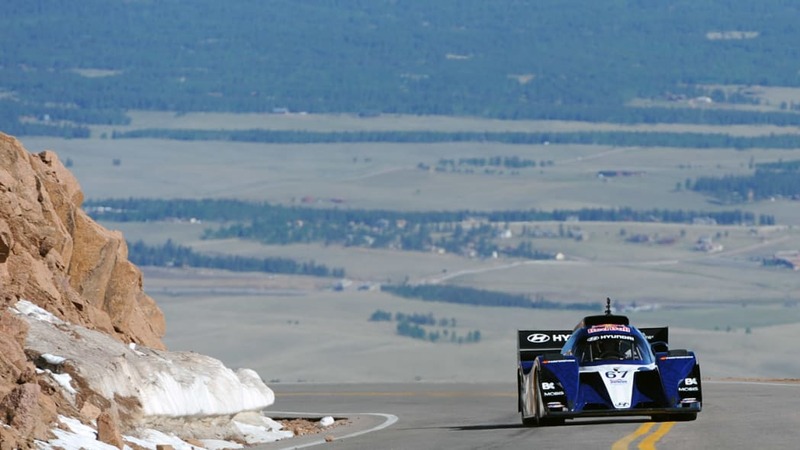 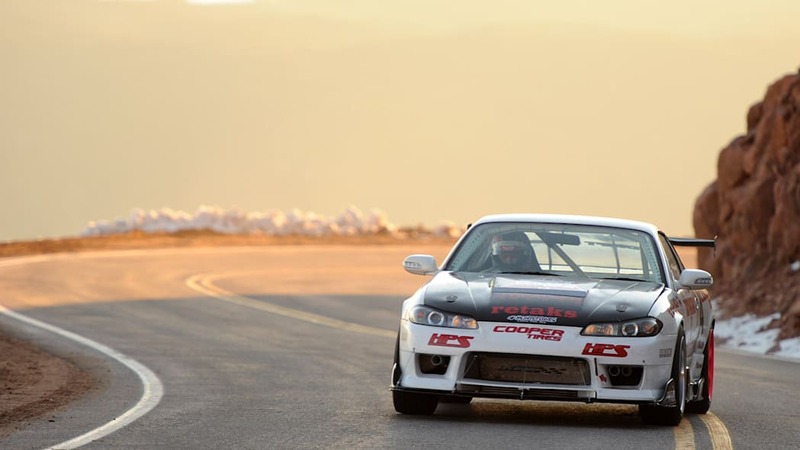 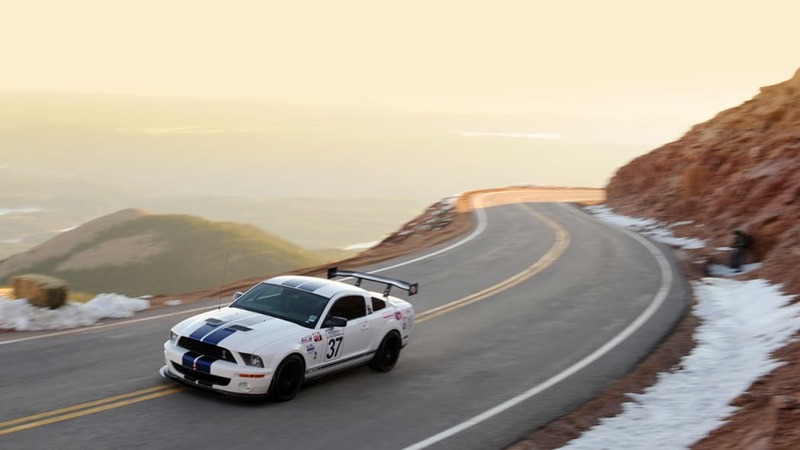 We'll be bringing you more live coverage of the 2011 Pikes Peak Hill Climb throughout the rest of this week, so be sure to check back over the next few days for more reports and photos. 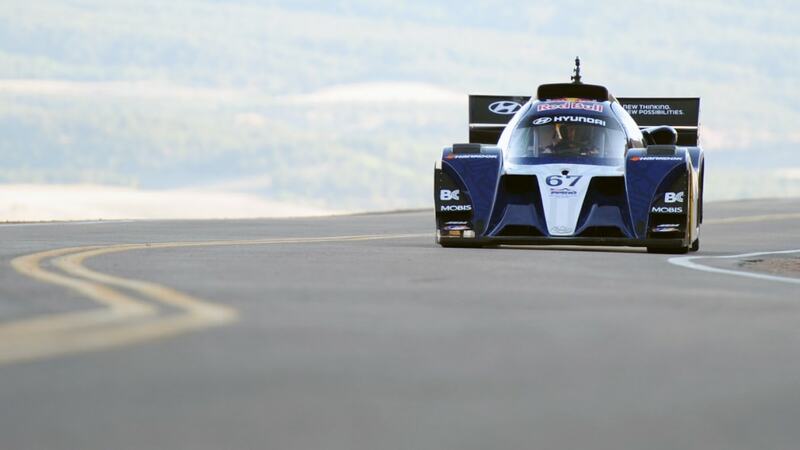 Until then, browse through our photos of the first practice session in our high-res image gallery.